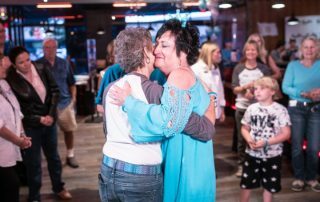 Thank you to all who came out to support Teal It Up as we Strike Out Cancer! 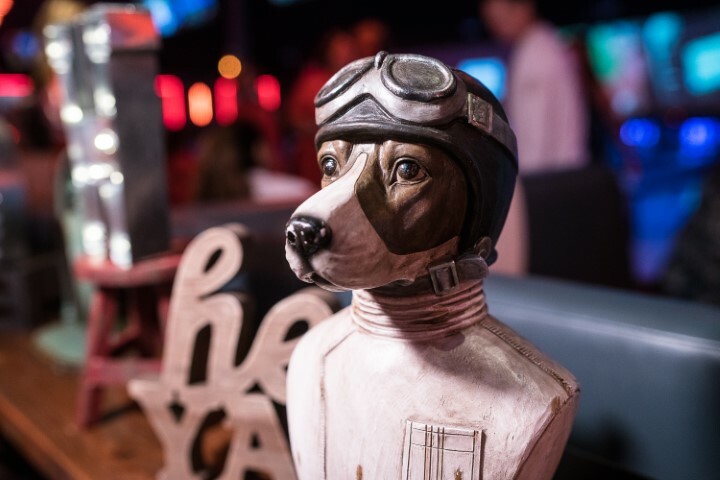 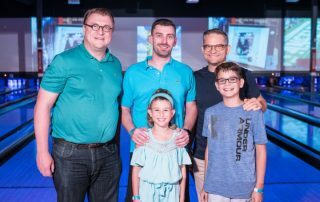 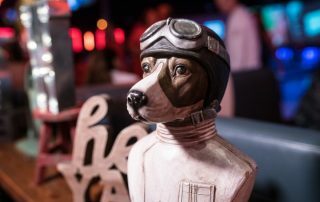 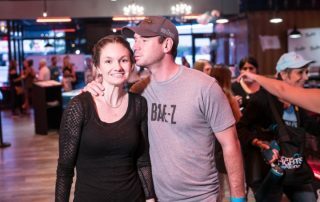 As you can see by these pictures – We had a great time! 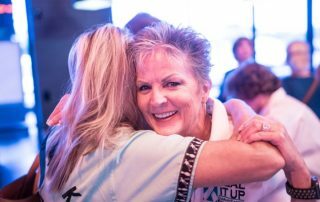 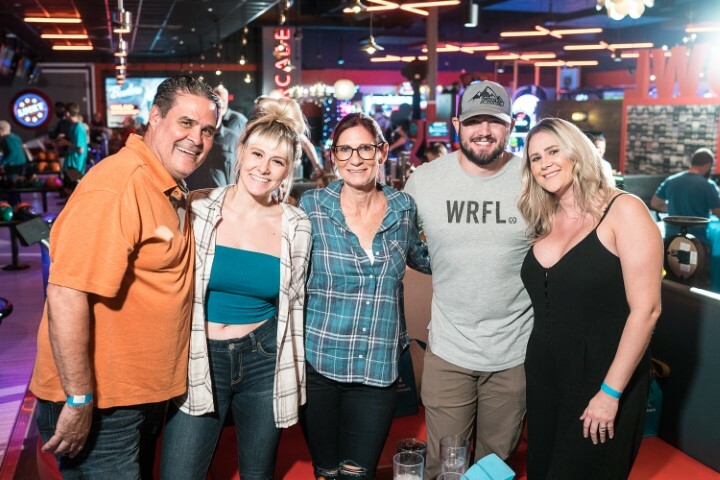 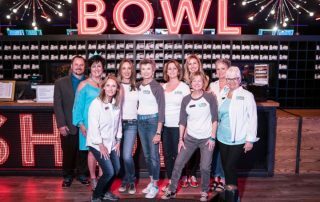 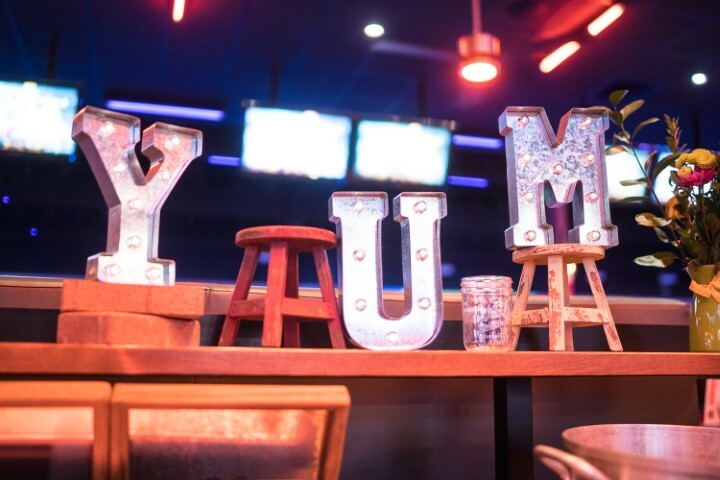 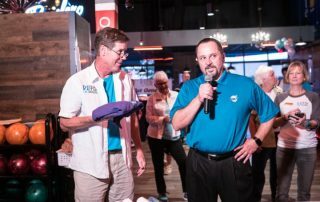 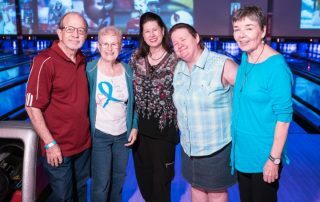 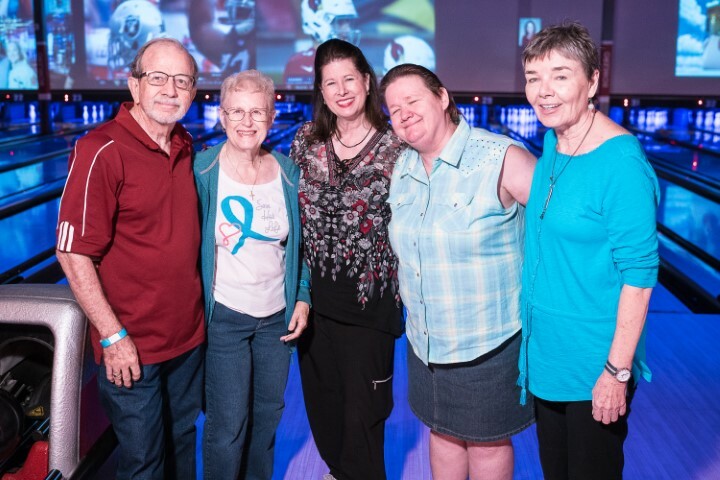 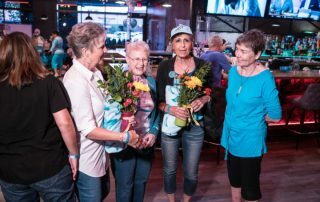 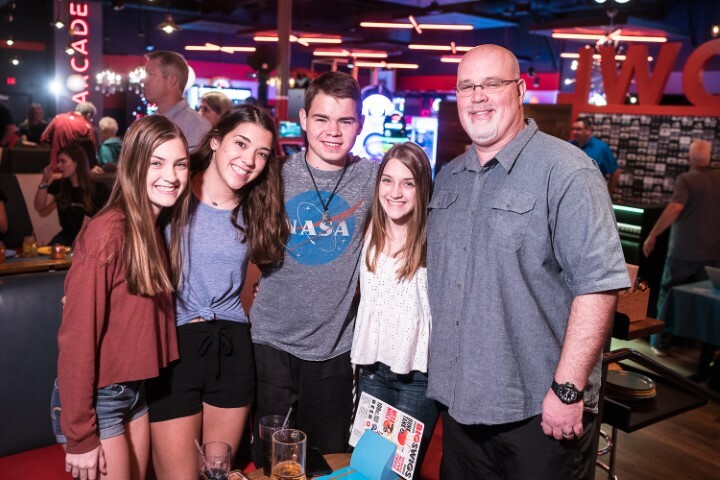 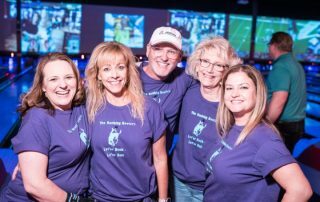 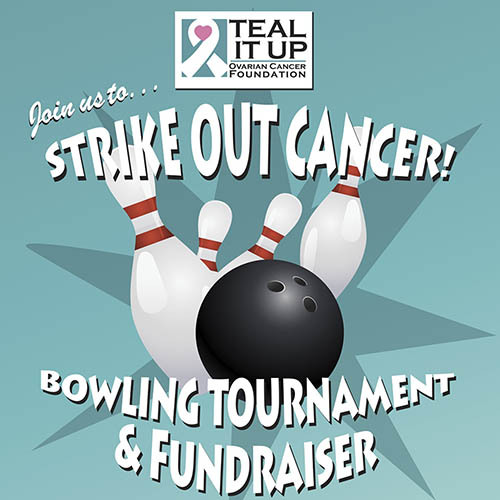 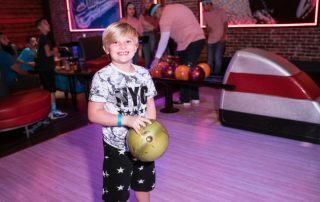 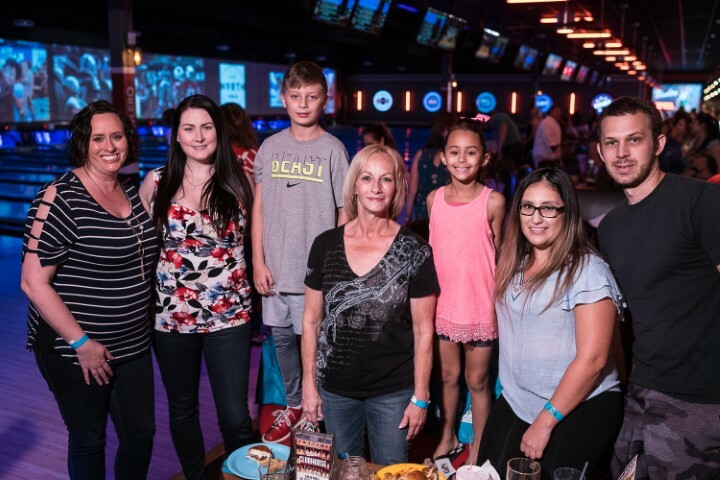 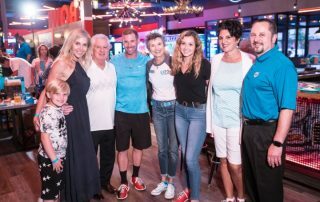 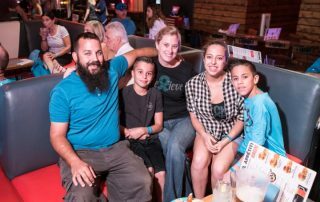 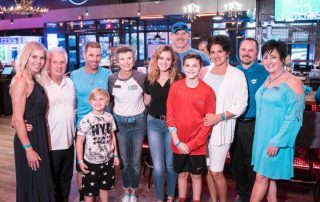 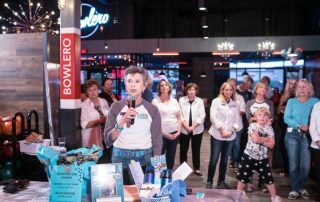 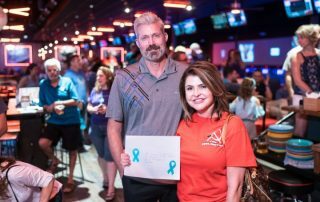 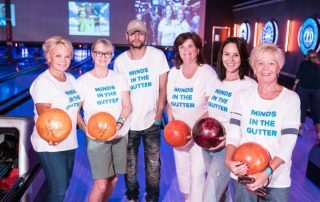 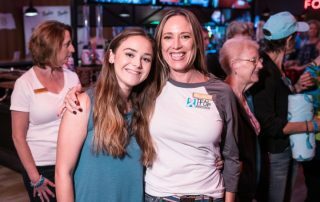 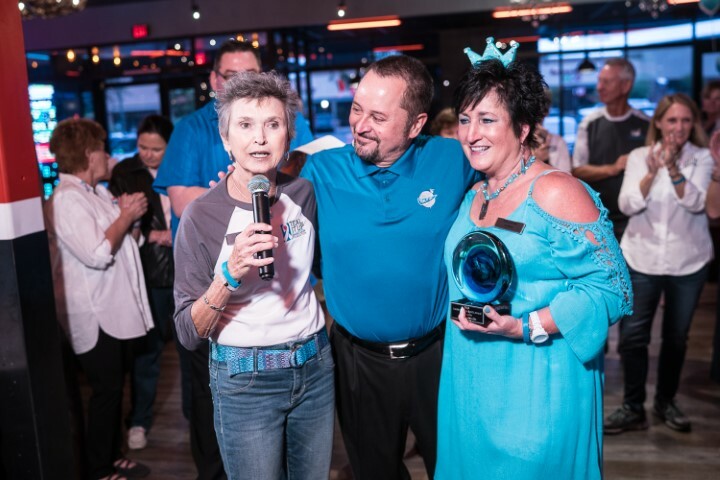 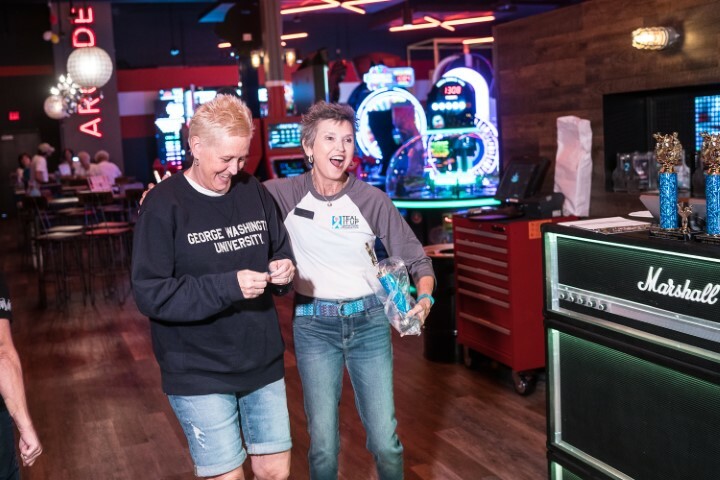 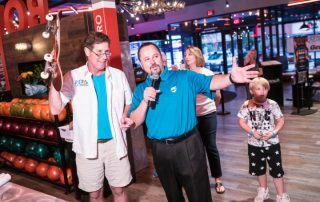 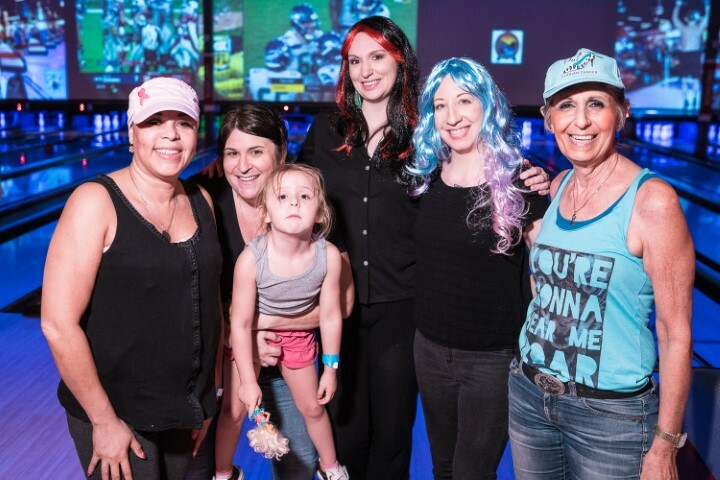 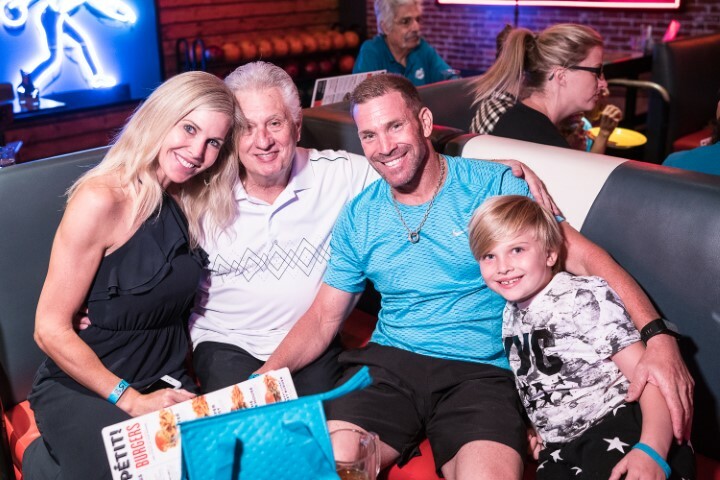 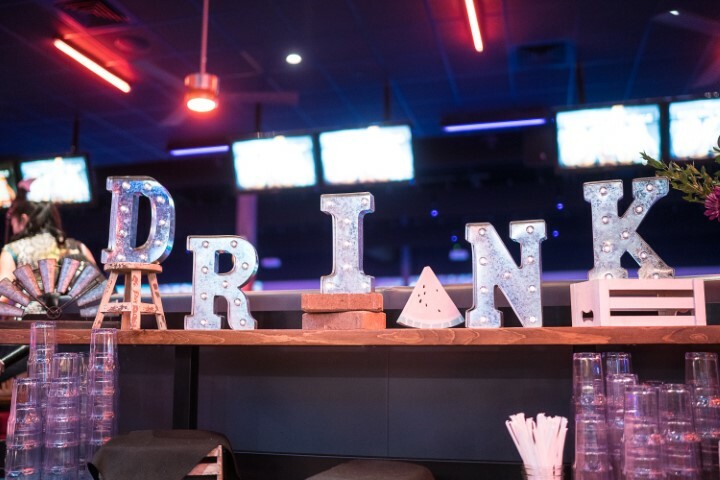 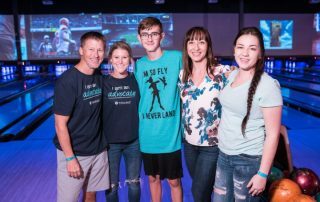 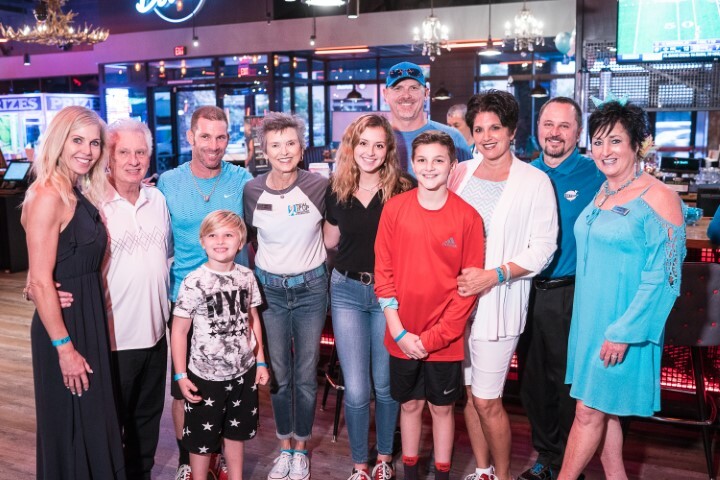 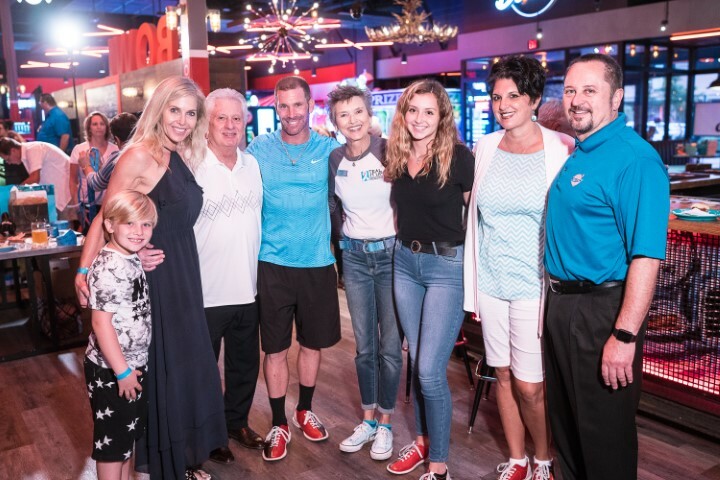 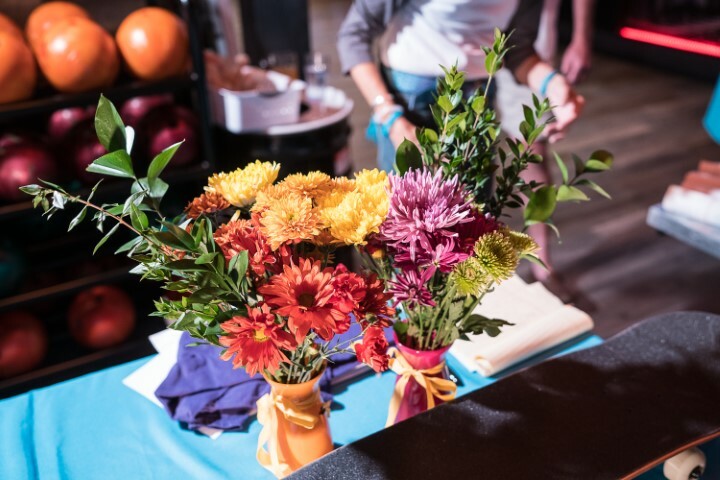 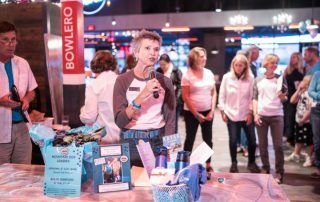 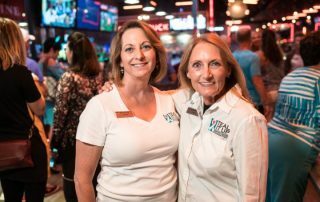 Join us on Sunday, September 30, 2018 for the first “Strike Out Cancer” Bowling Tournament, to benefit Teal It Up Foundation. 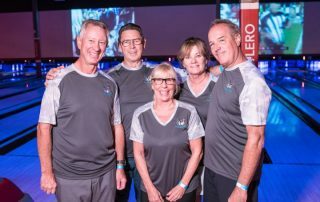 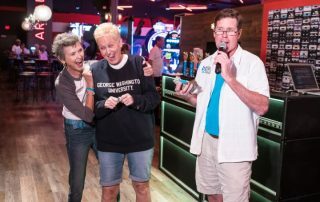 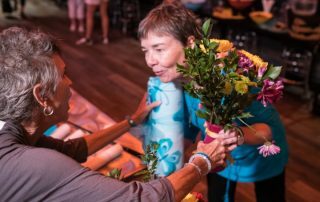 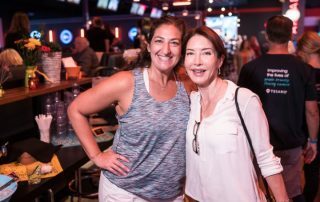 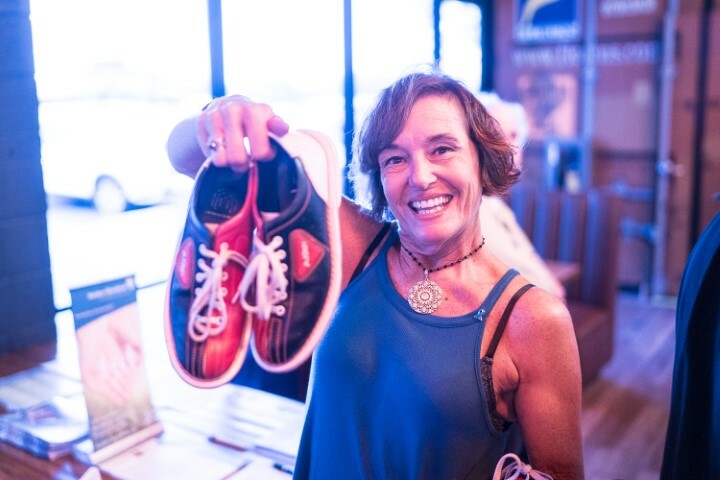 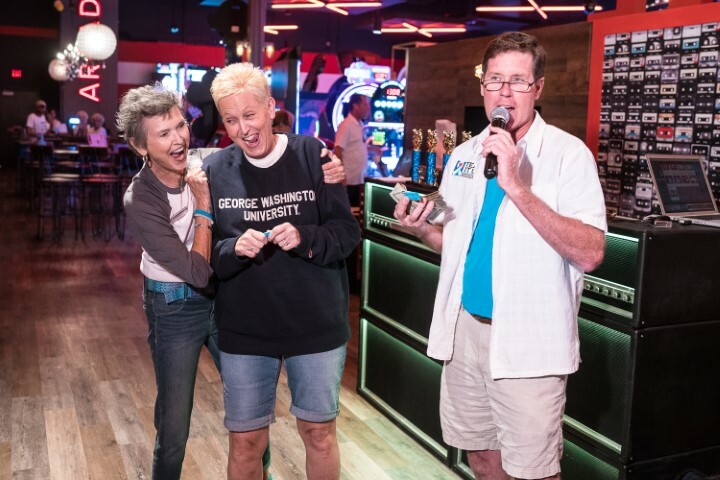 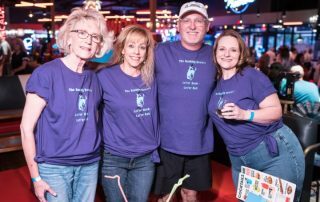 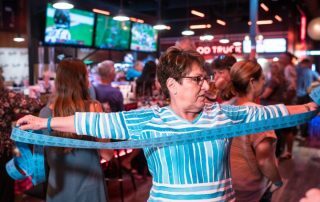 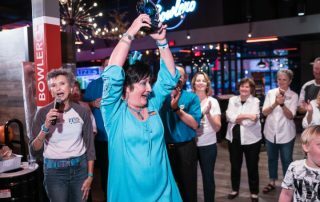 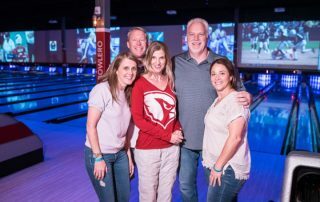 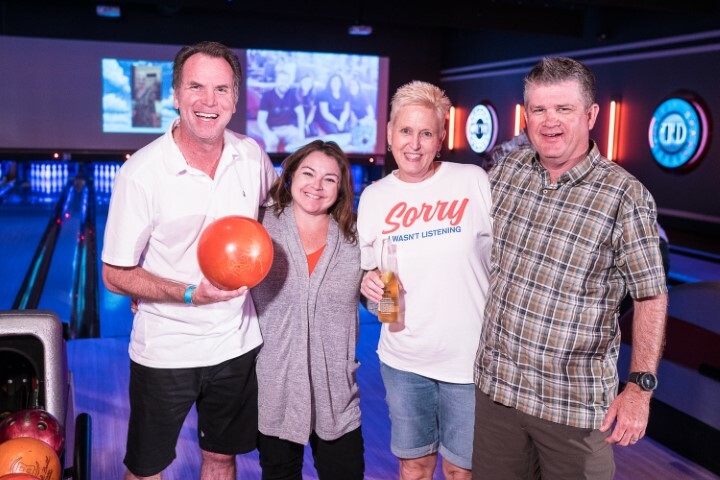 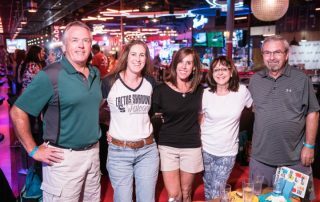 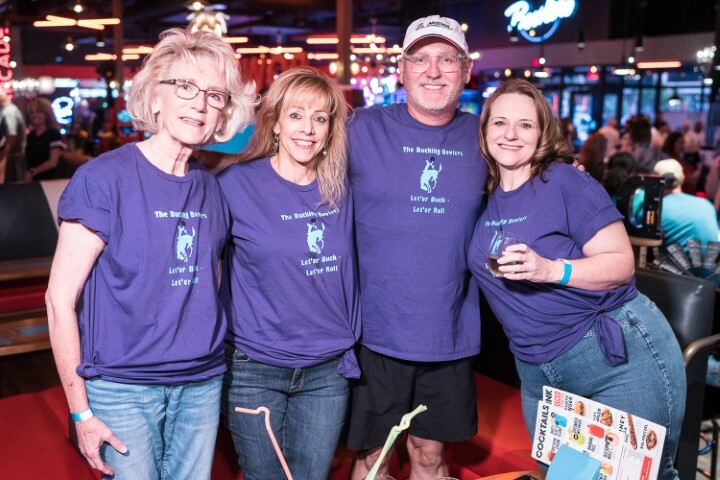 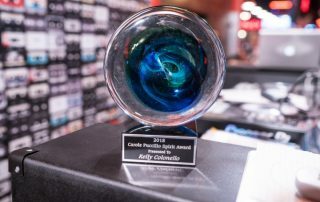 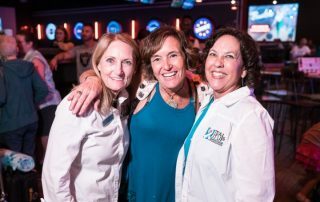 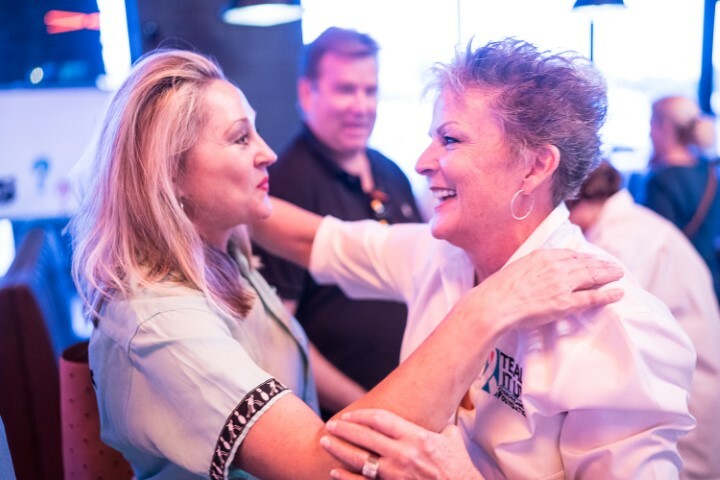 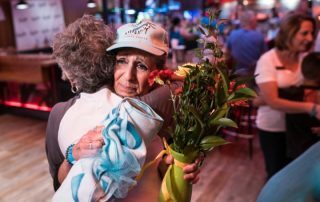 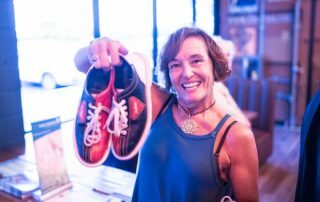 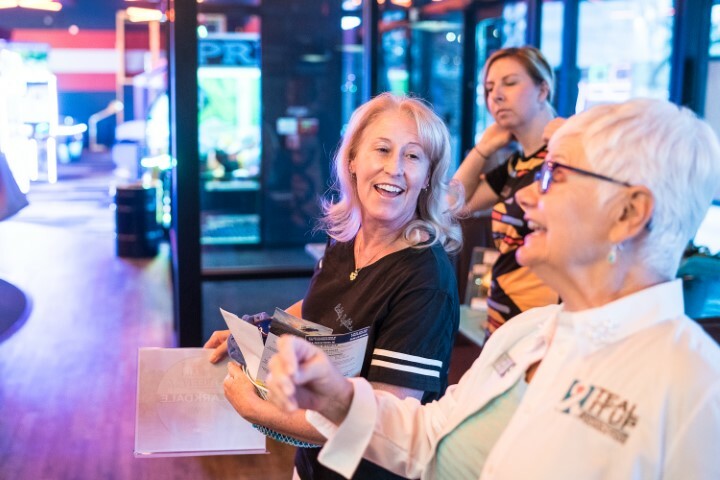 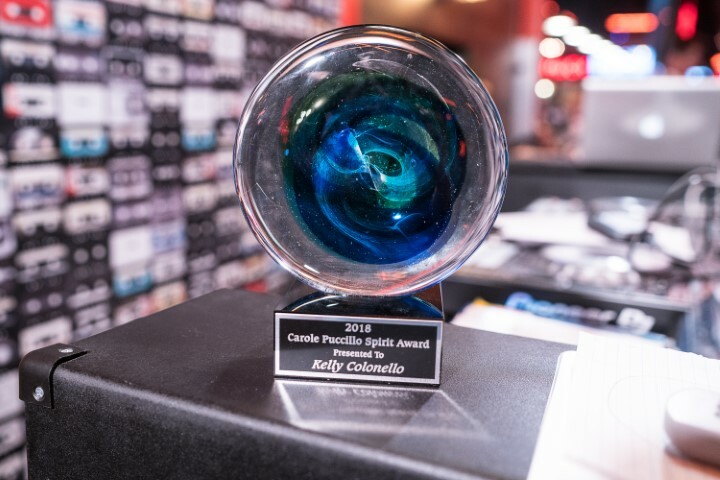 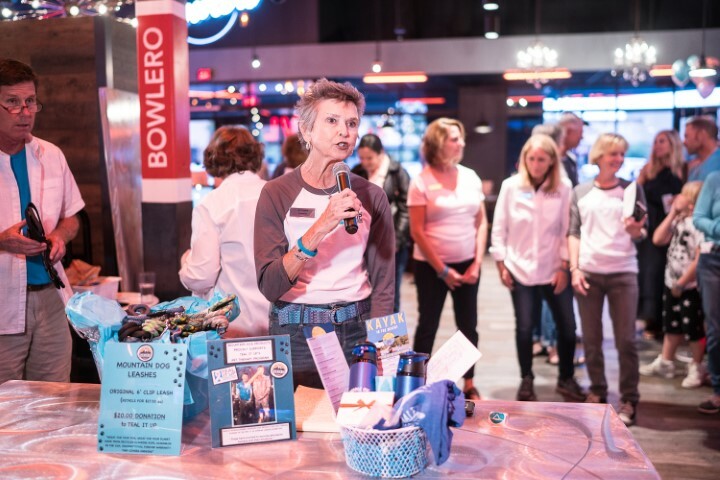 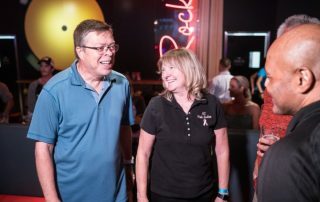 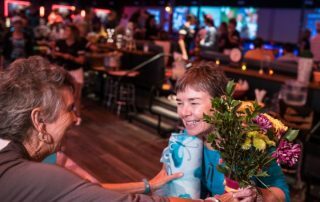 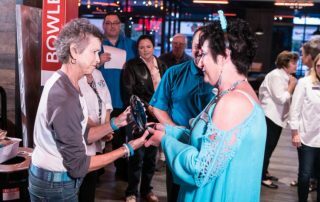 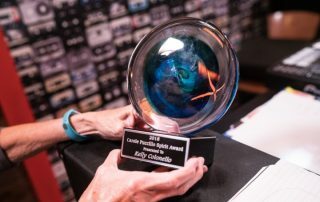 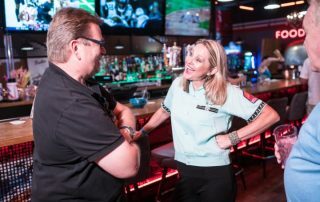 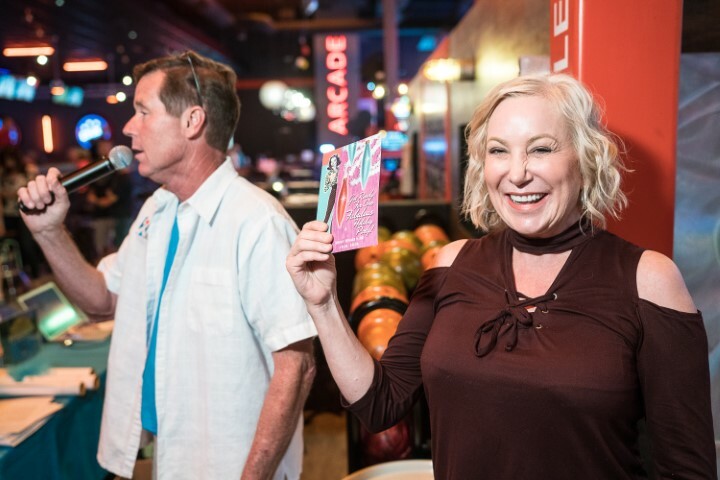 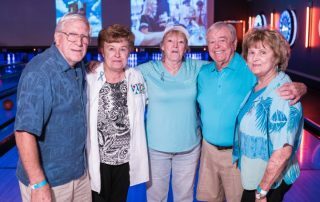 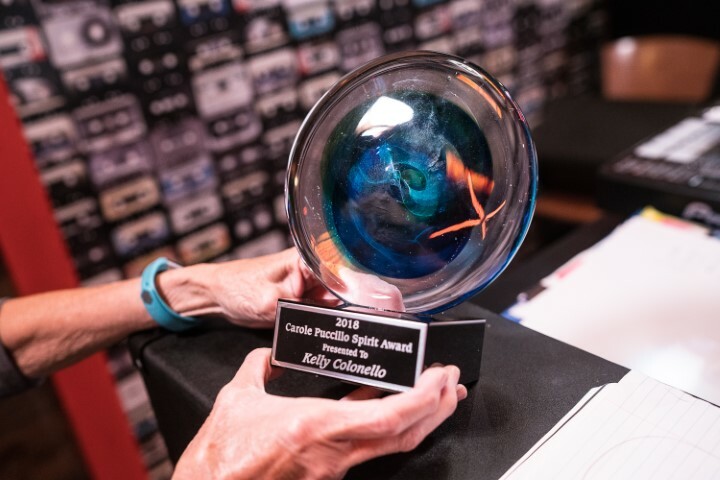 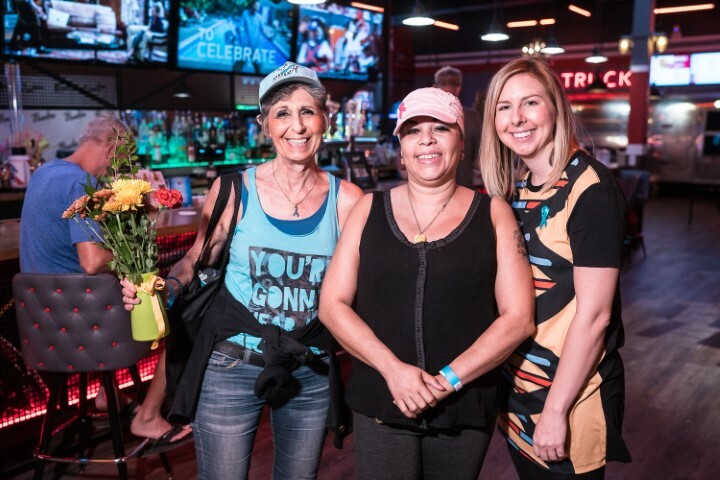 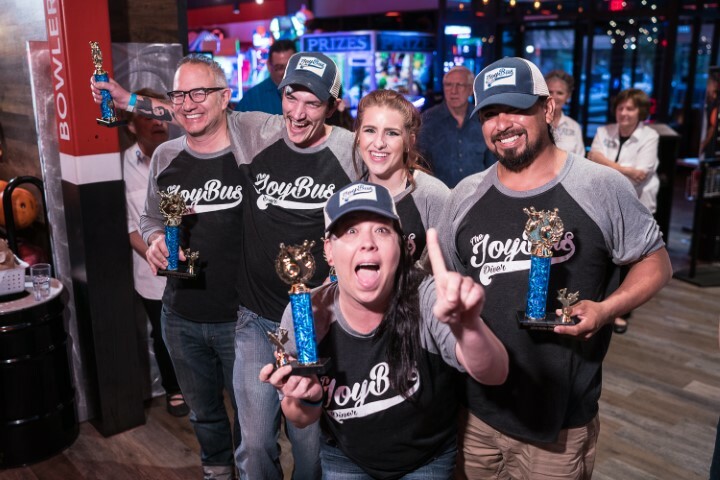 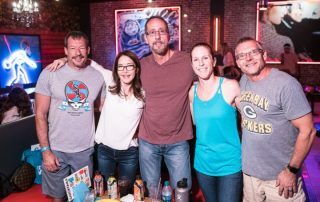 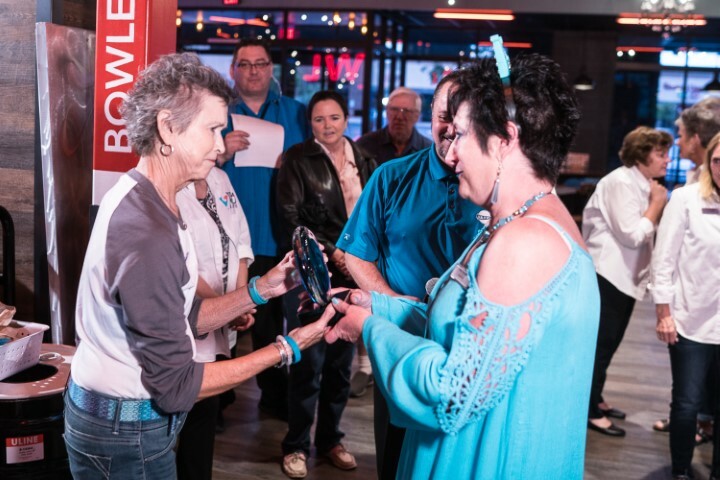 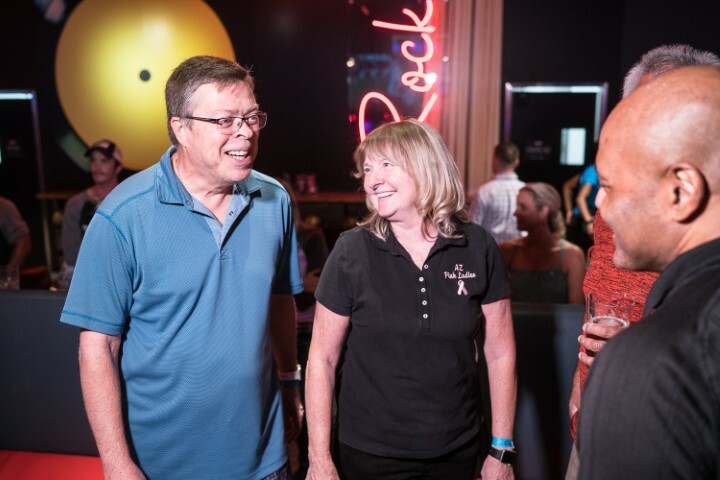 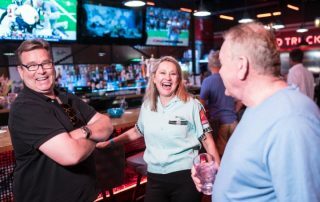 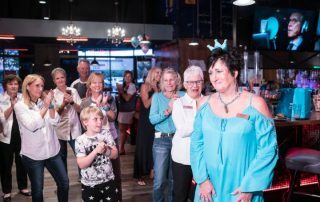 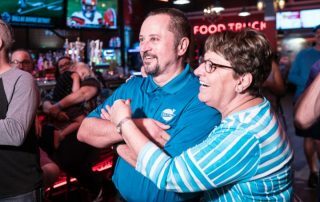 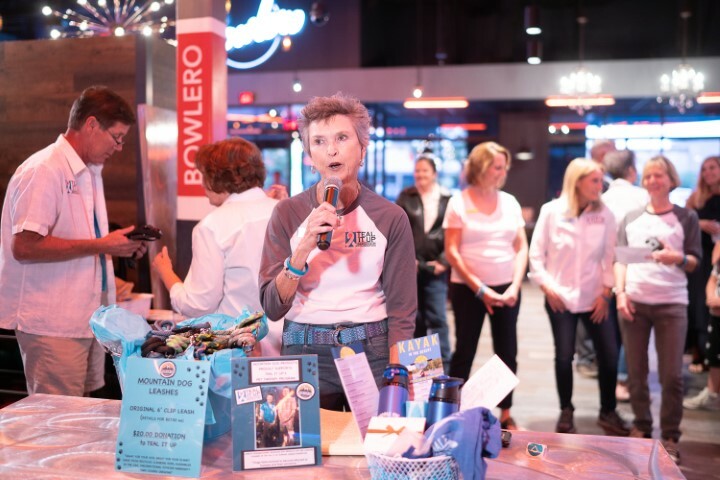 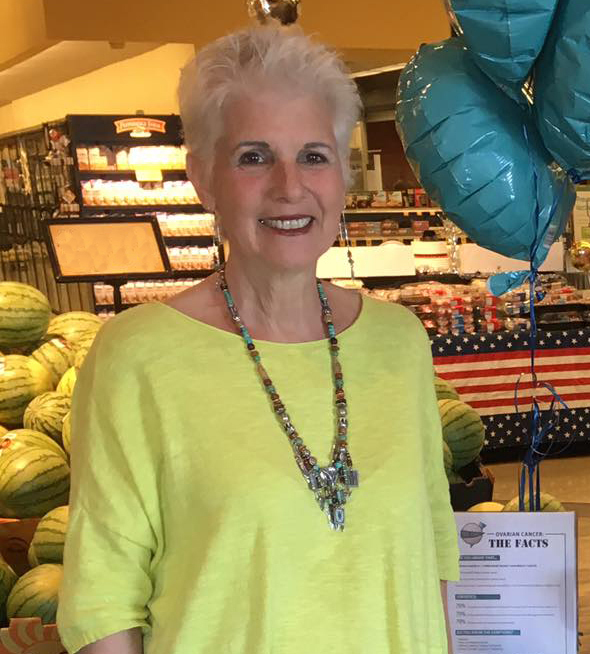 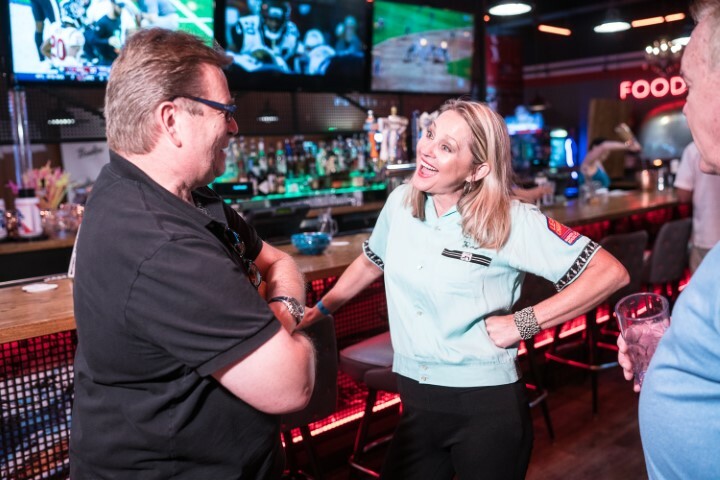 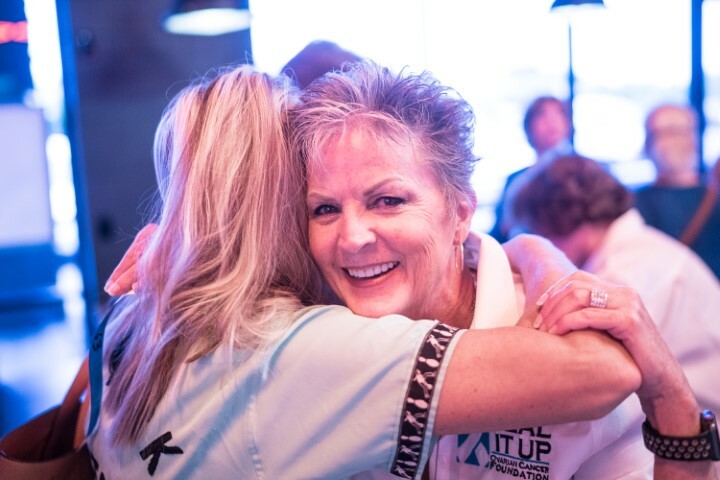 The Tournament is in honor of Carole Puccillo (pictured here) and will be held at Bowlero, located at 7000 E. Mayo Blvd, Scottsdale. 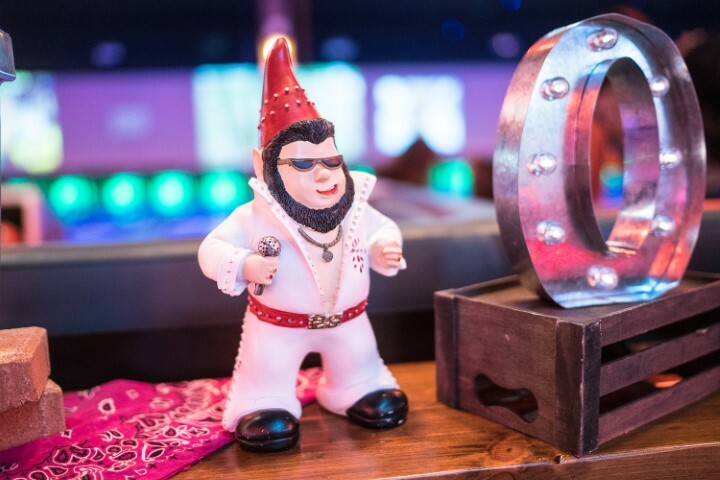 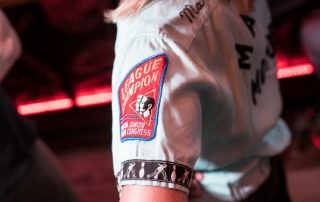 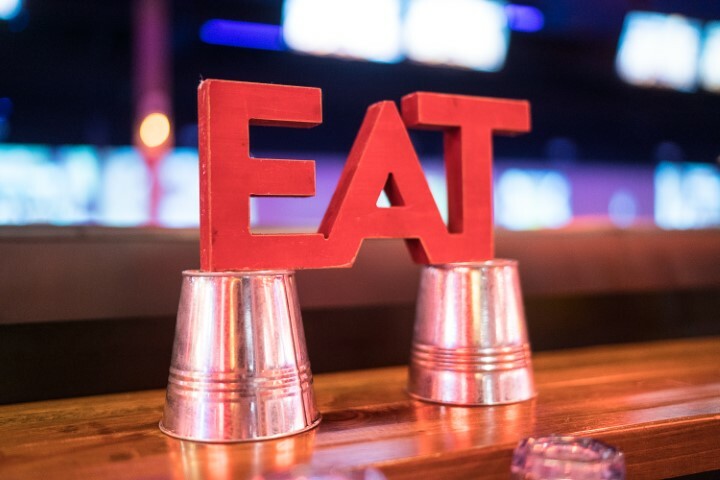 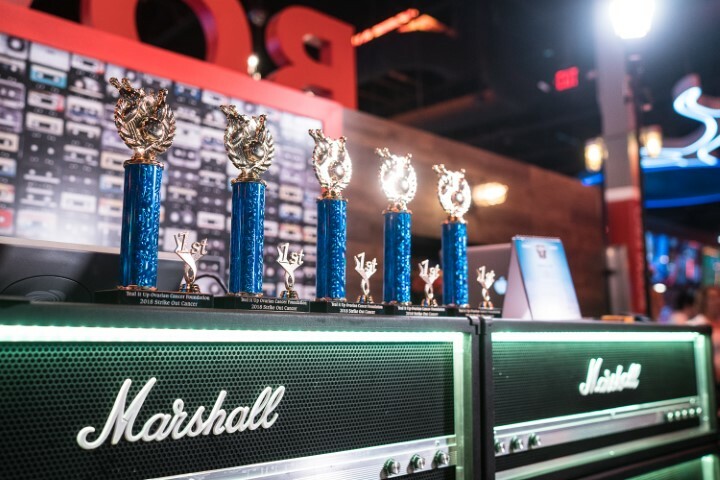 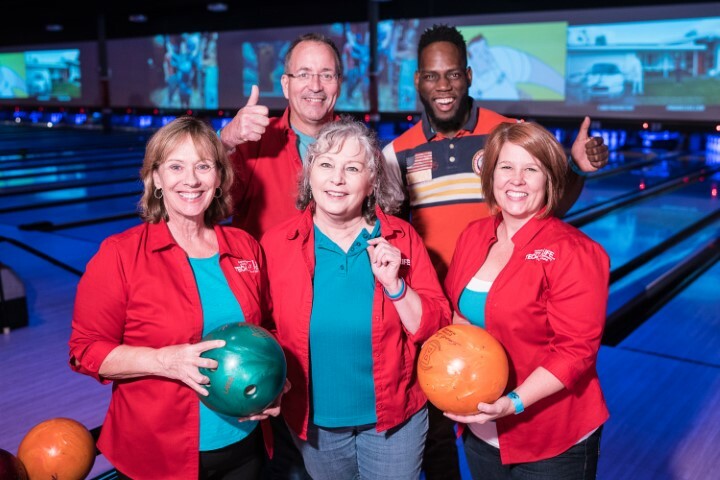 Check in time is at 1:30 pm — the bowling begins at 2:00 pm. 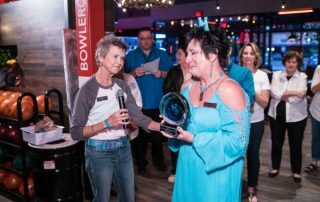 There will also be a Silent Auction and, after the tournament, a brief program including awards! 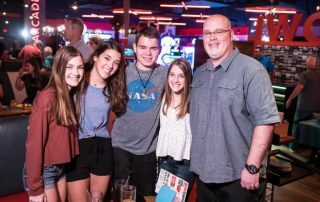 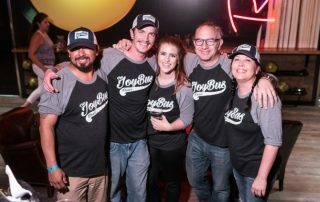 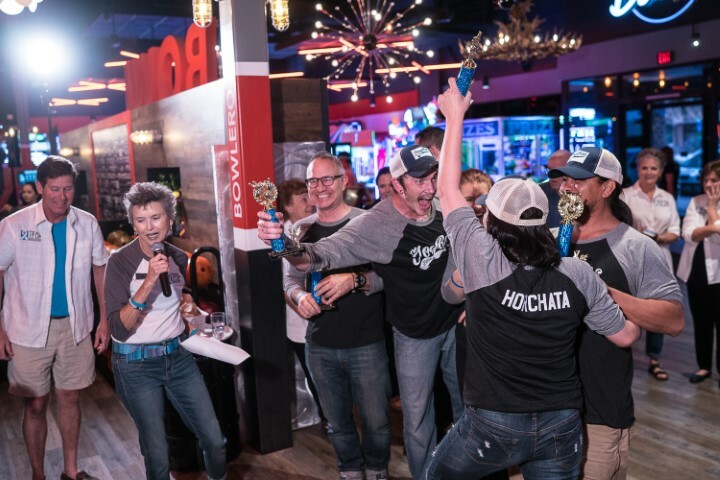 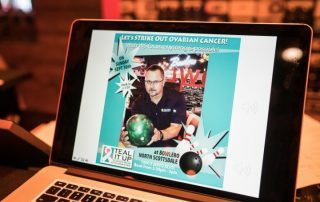 Thank You Sponsors & Bowling Teams … This Event is Sold Out!! 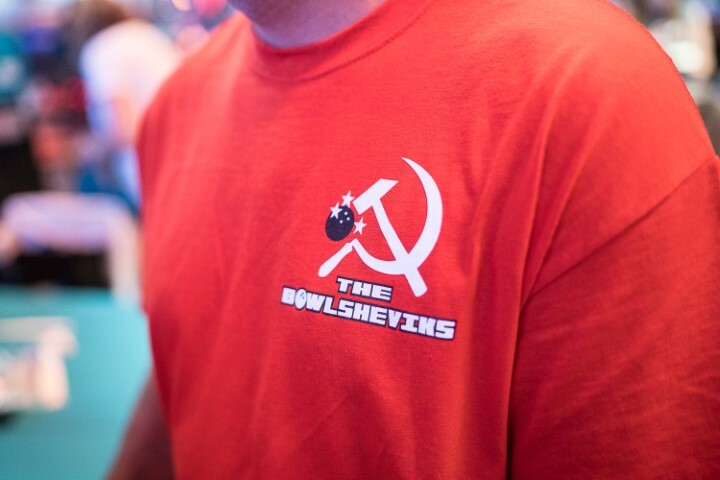 Detection is key. Please help us improve these odds. 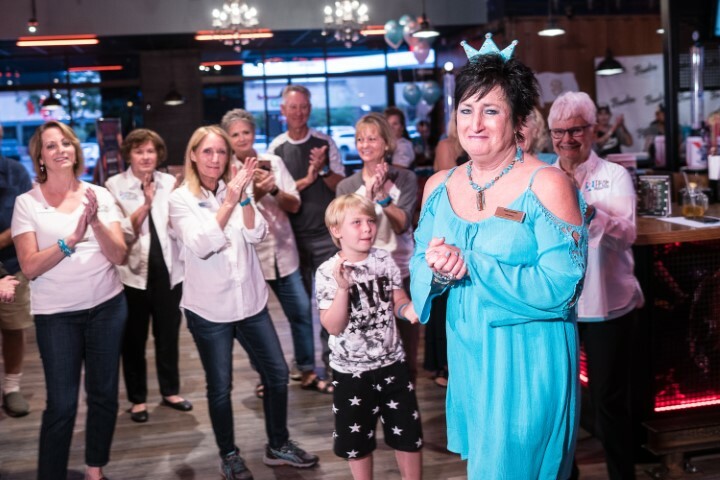 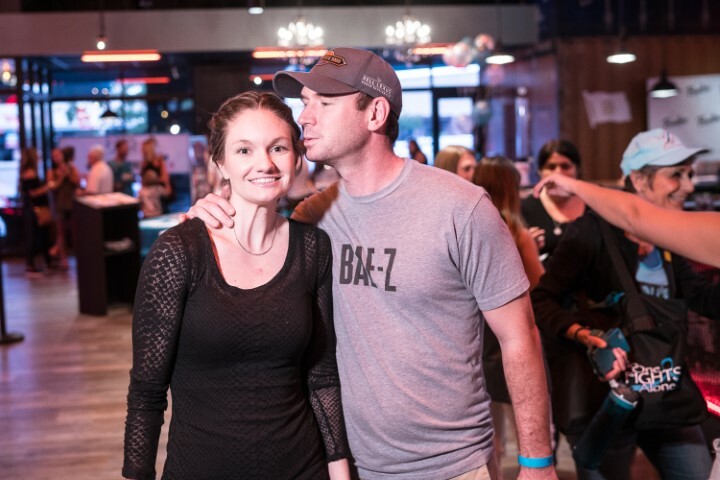 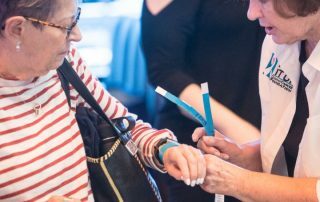 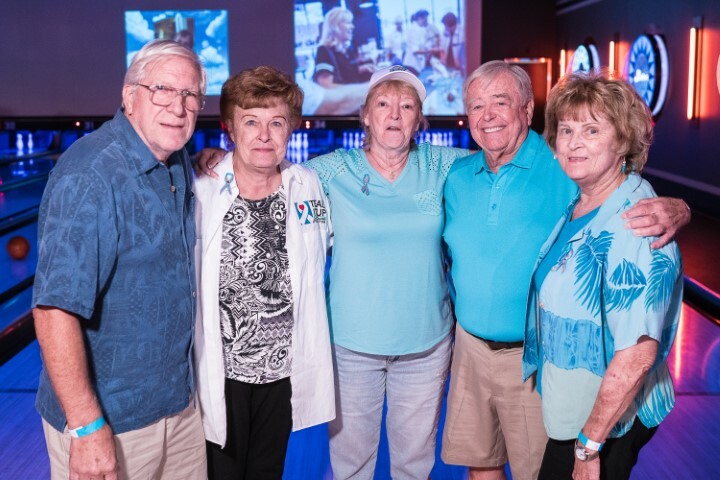 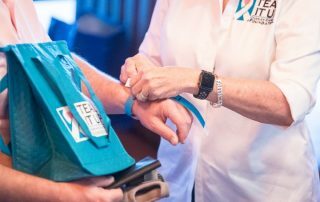 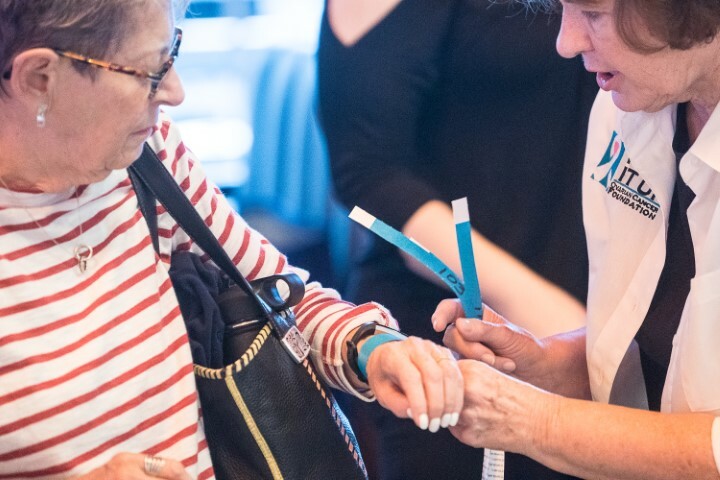 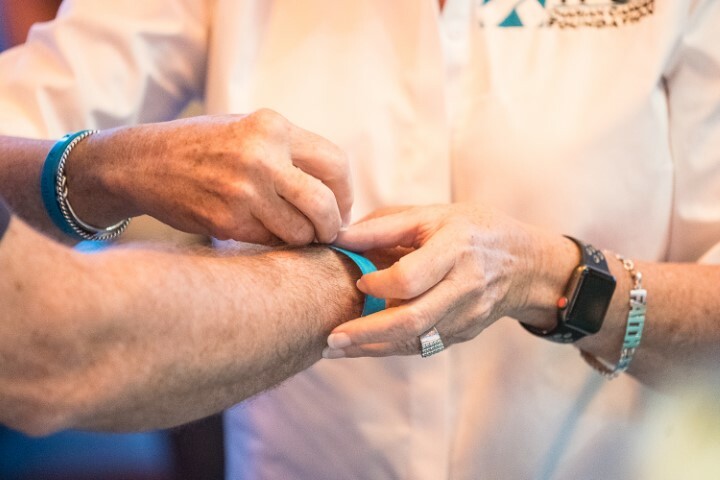 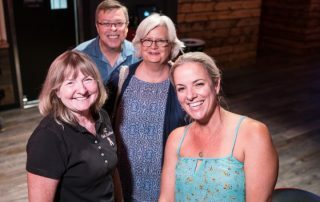 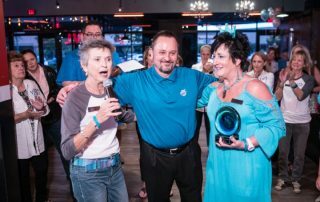 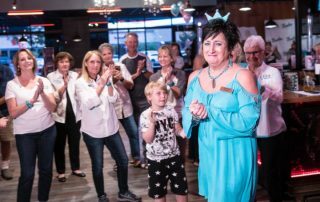 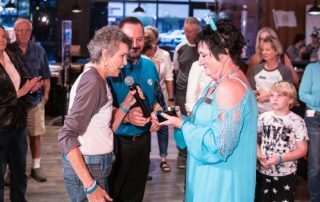 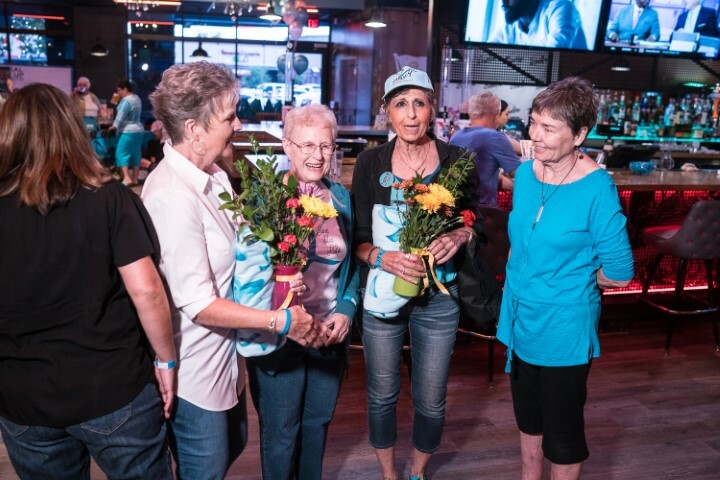 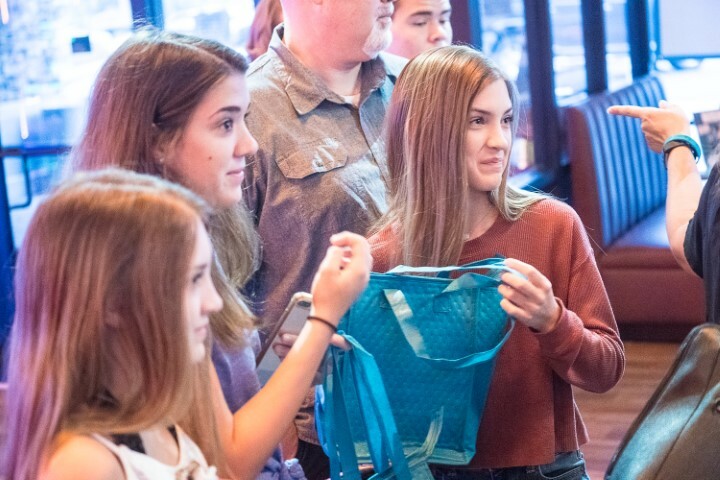 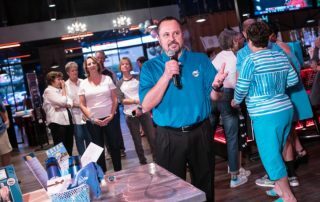 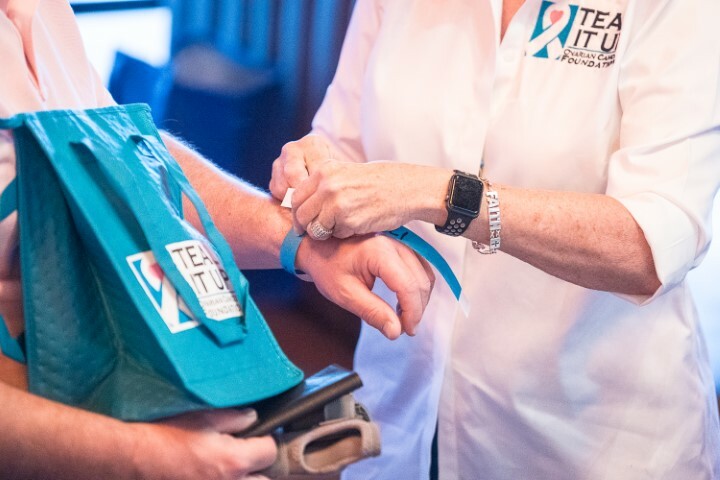 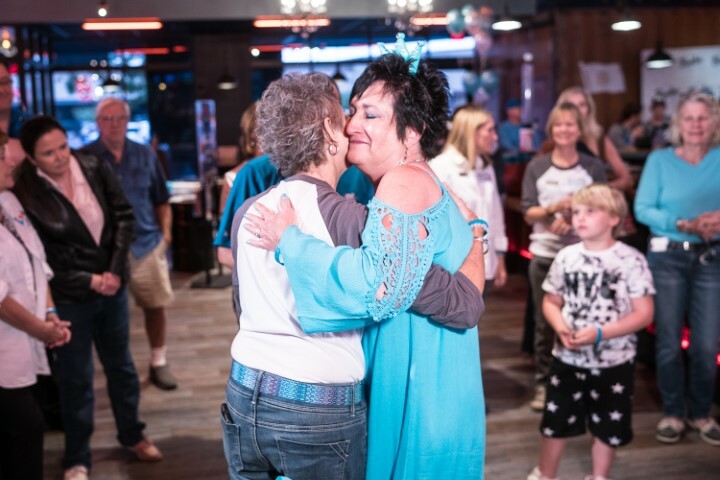 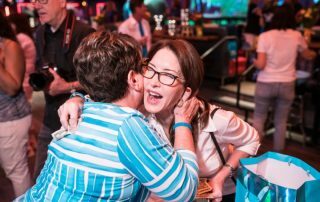 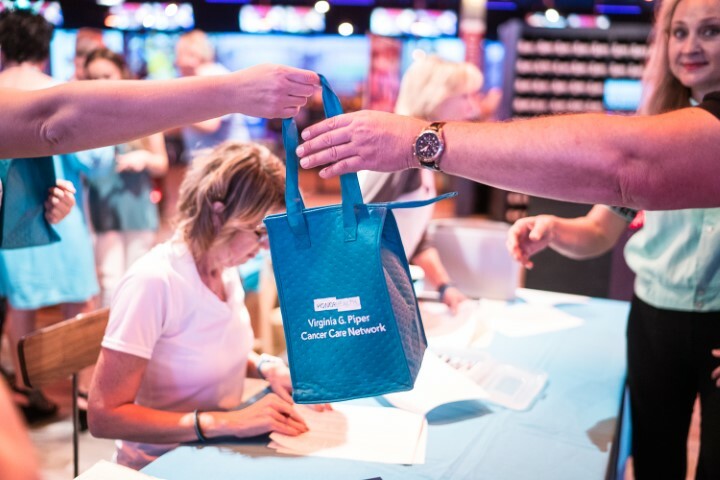 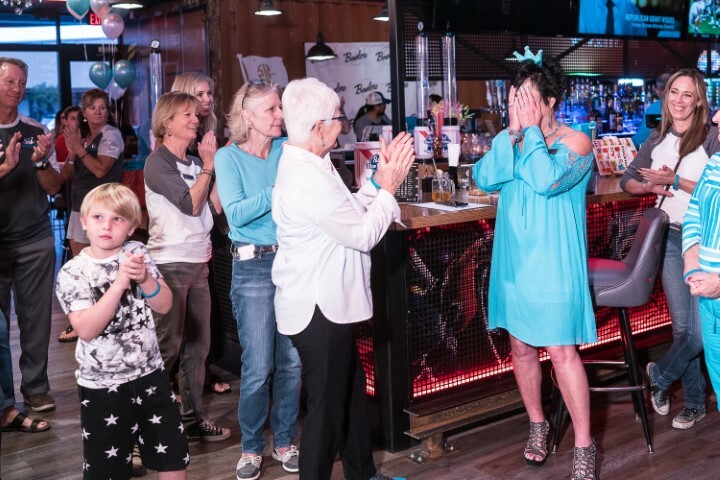 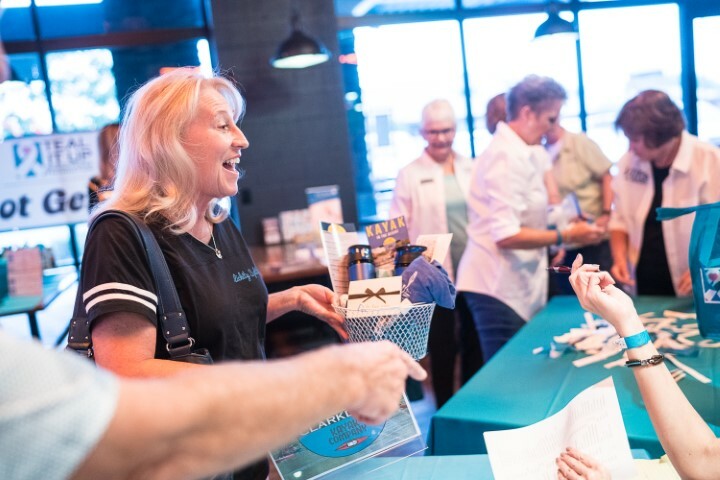 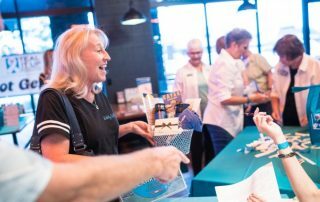 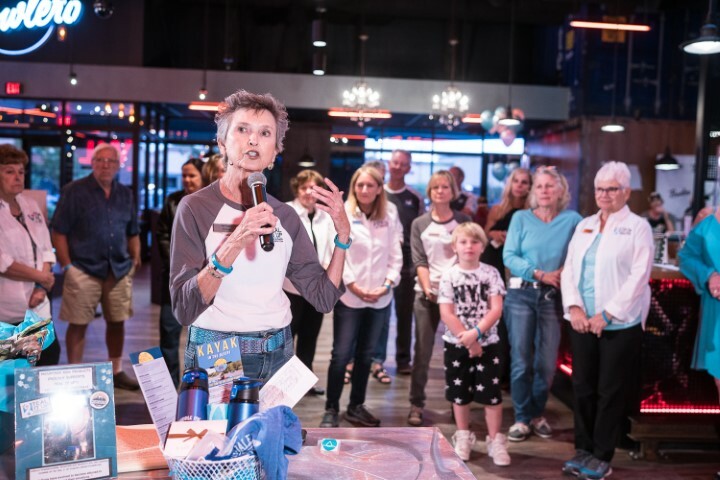 EDUCATION – Through awareness events, we endeavor to teach women and men, alike, about the most frequently-noted symptoms of ovarian cancer (that many ignore), and impress upon them the critical need to investigate those symptoms. 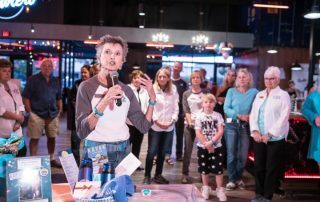 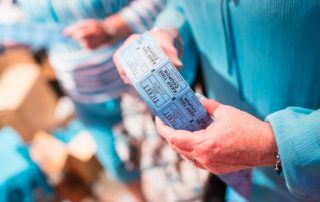 SUPPORT – We cover out-of-pocket costs of genetic counseling and testing for gynecological cancer patients for whom genetic testing has been deemed medically necessary, but would be a financial hardship. 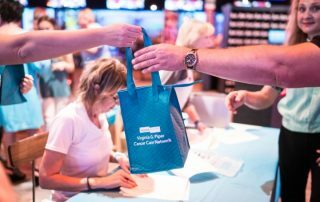 RESEARCH – We donate to worthy organizations that are leading critical research initiatives in ovarian cancer detection. 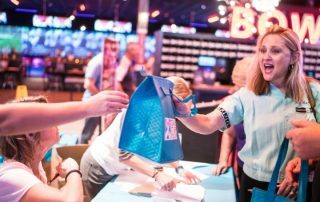 5 player maximum per team, company logo on goodie bag and other printed items. Formal recognition event day, website/Facebook coverage. 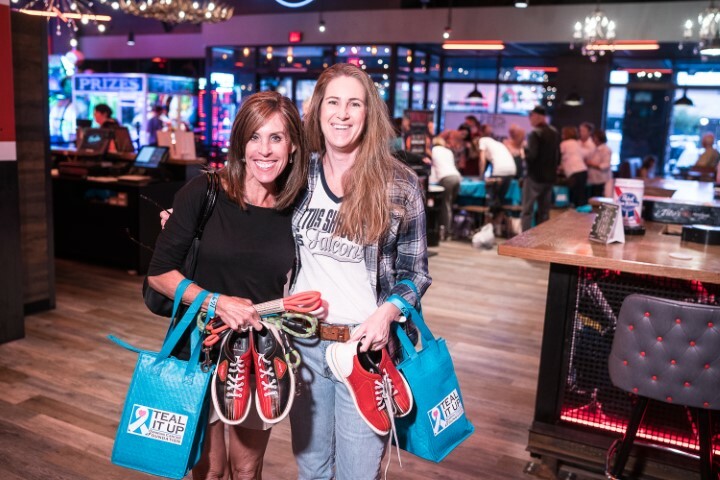 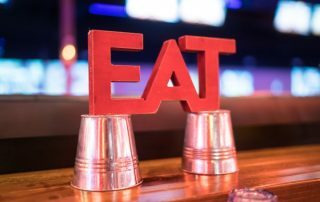 All sponsorships include shoe rental, goodie bag, food, non-alcoholic drinks & prizes. 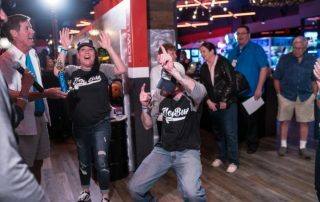 5 player maximum per team. 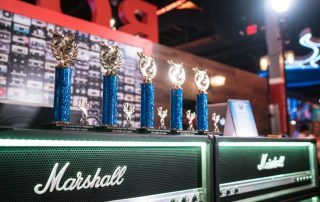 Individual names on TV screens. 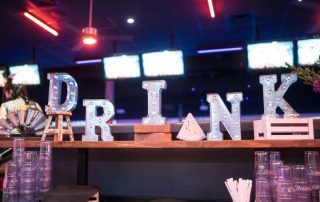 Company name & logo on screens and on all printed material, website/Facebook. All sponsorships include shoe rental, goodie bag, food, non-alcoholic drinks, prizes. 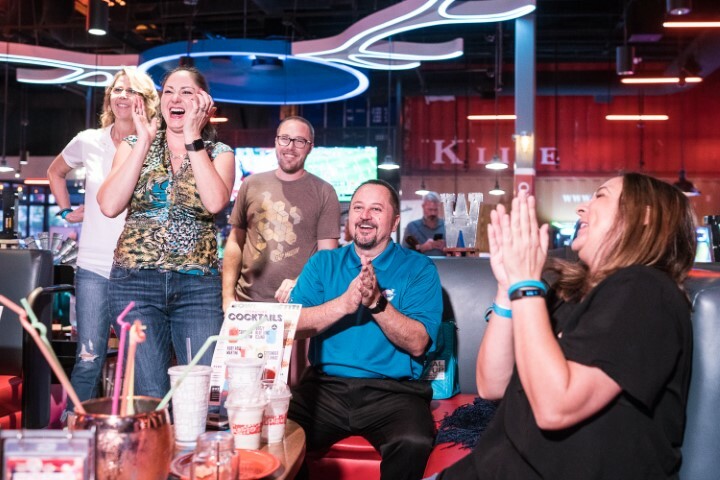 5 player maximum per team….Individual names on TV screens. 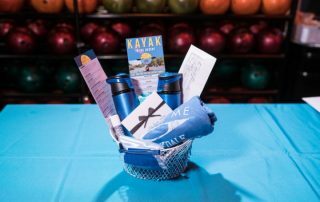 All sponsorships include shoe rental, goodie bag, food, non-alcoholic drinks, prizes. 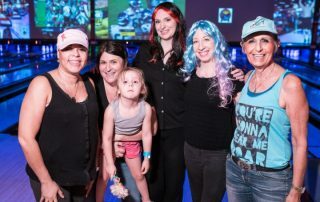 For those individuals who want to support ovarian cancer efforts but don’t have a team. 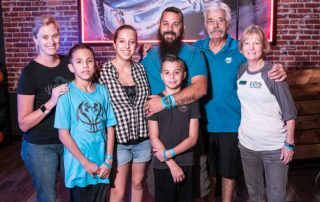 You can help. 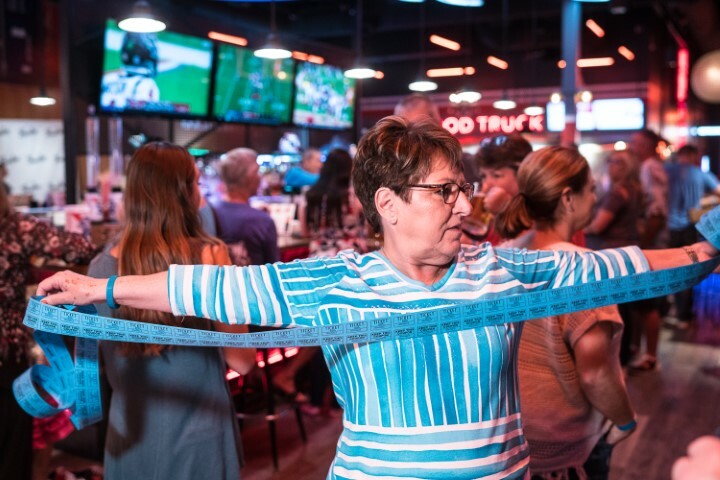 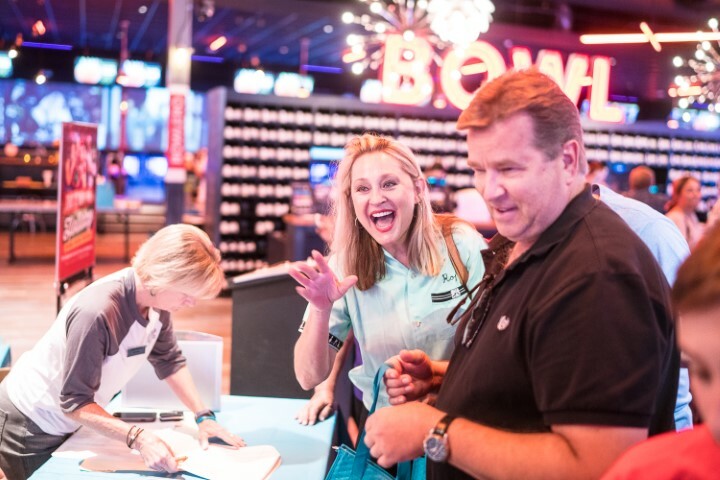 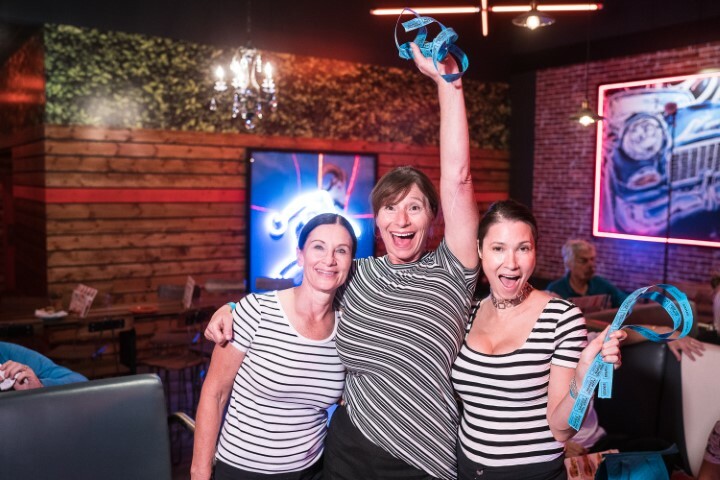 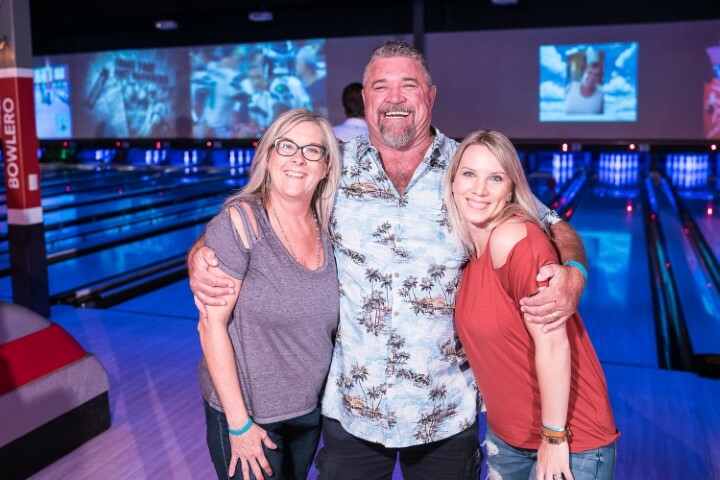 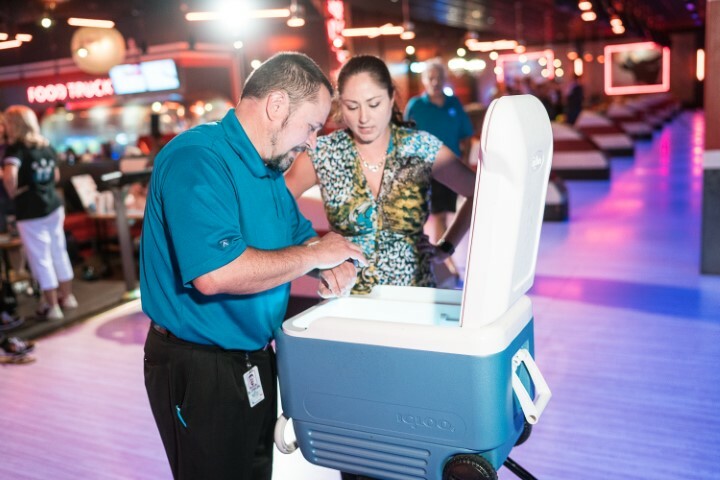 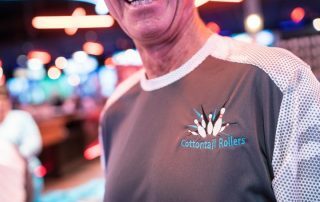 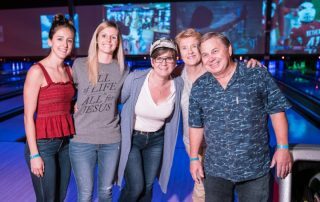 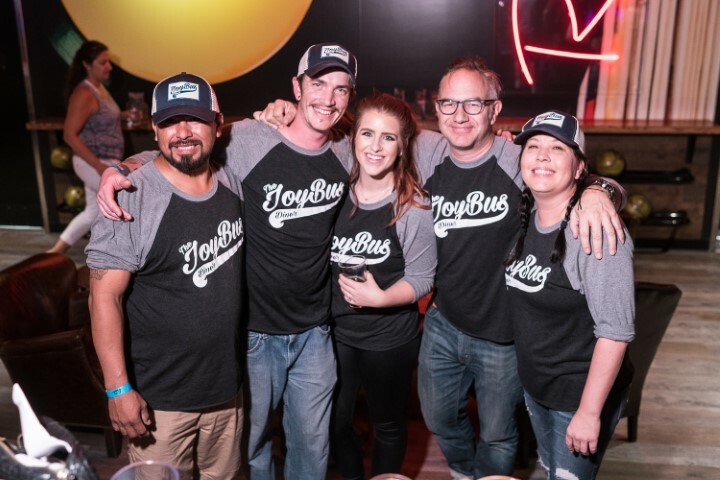 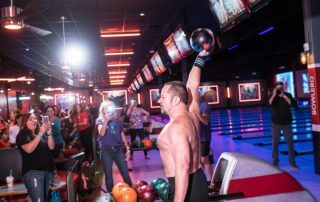 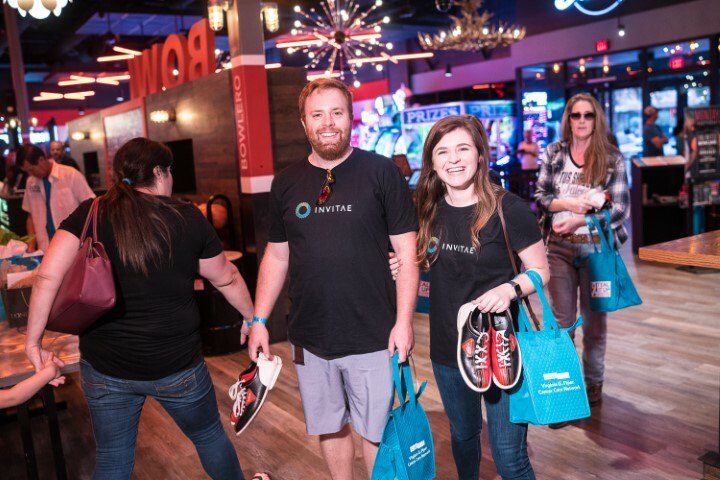 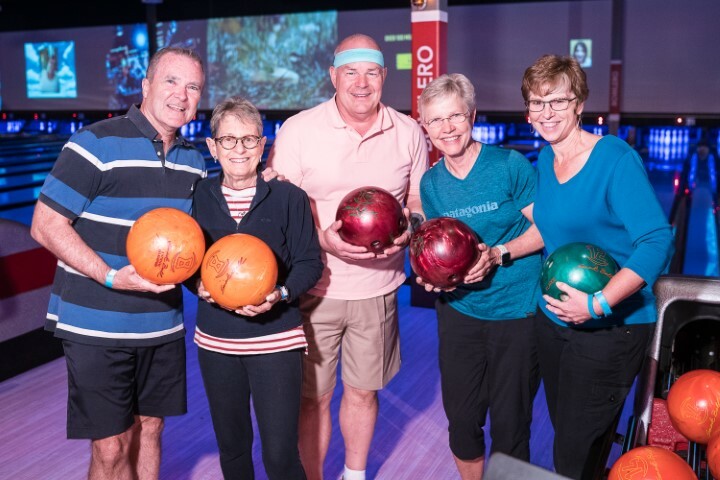 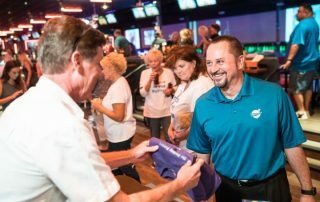 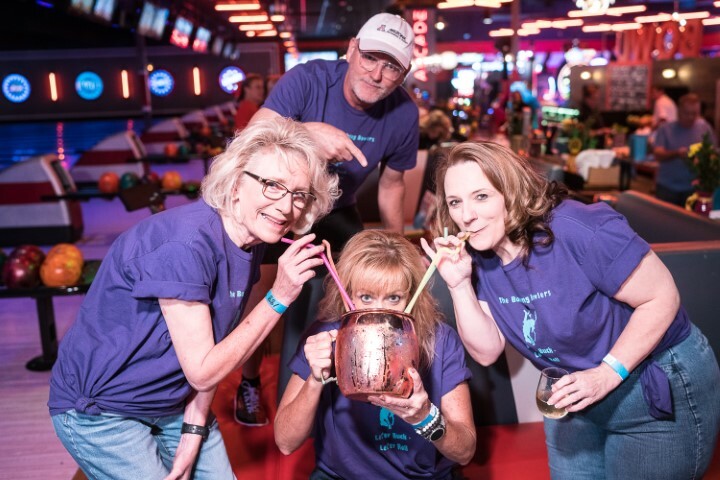 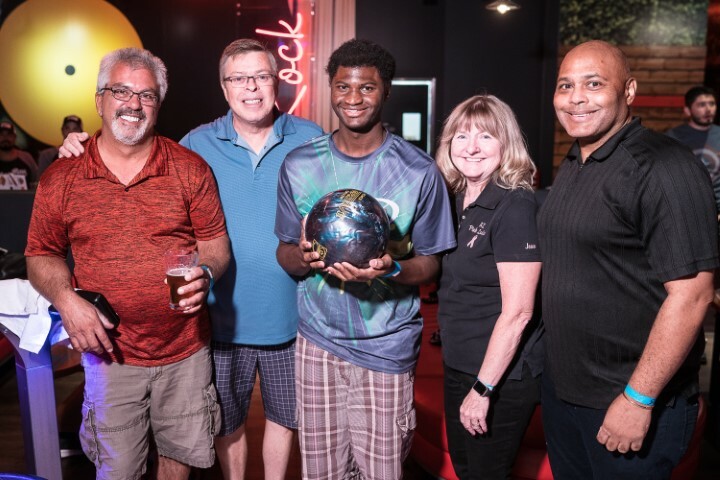 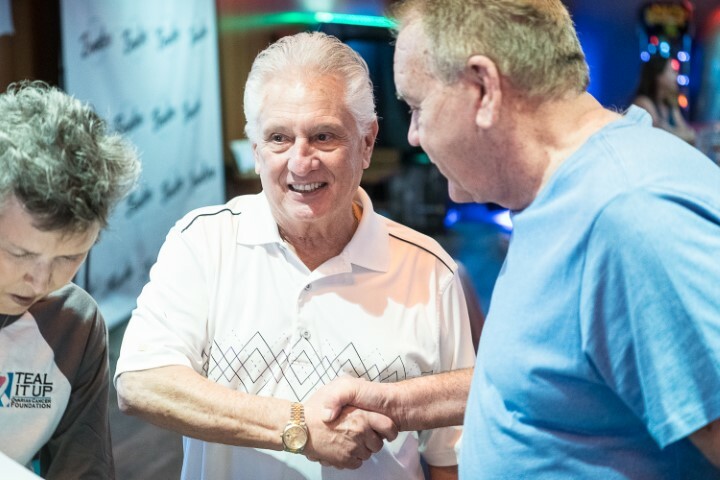 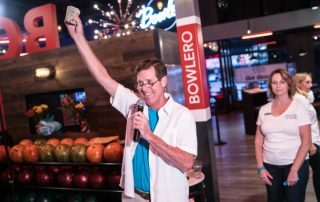 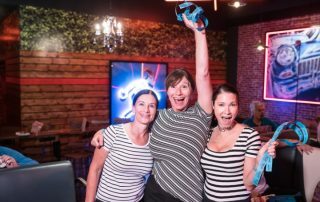 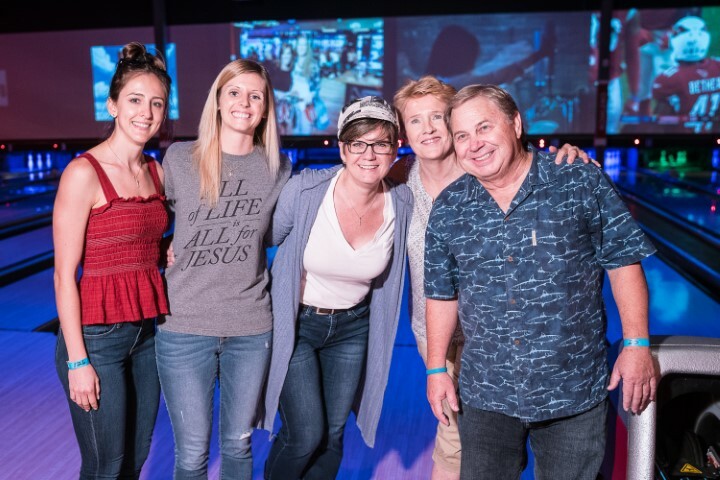 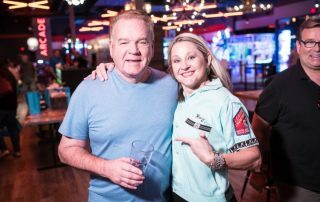 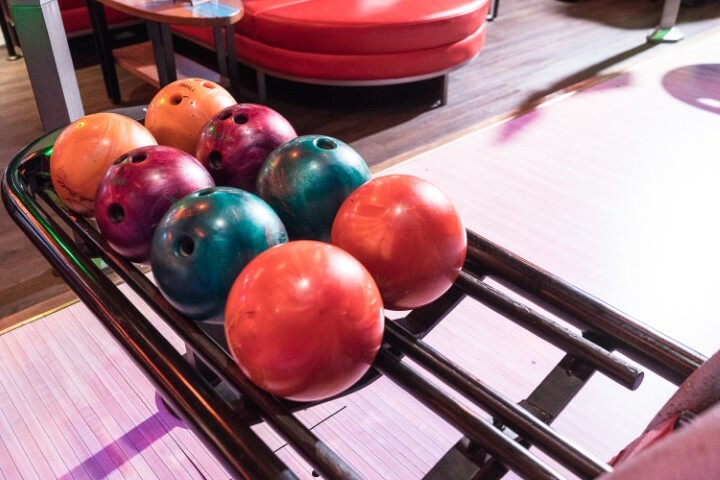 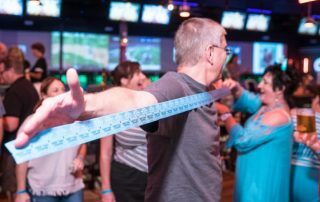 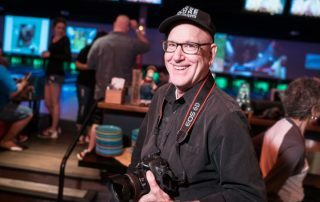 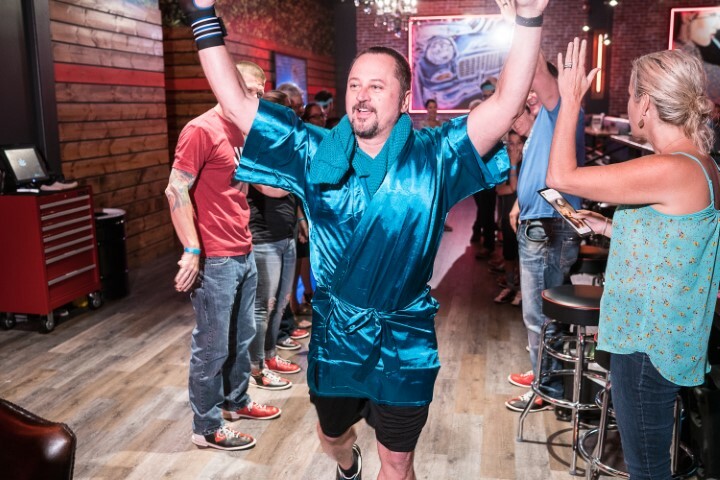 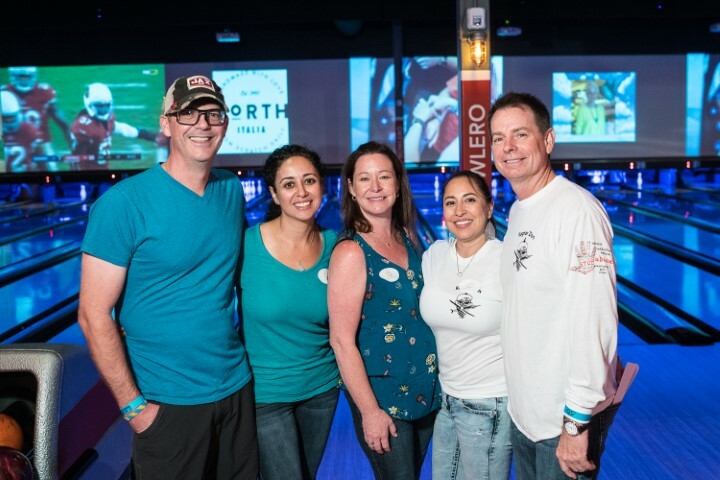 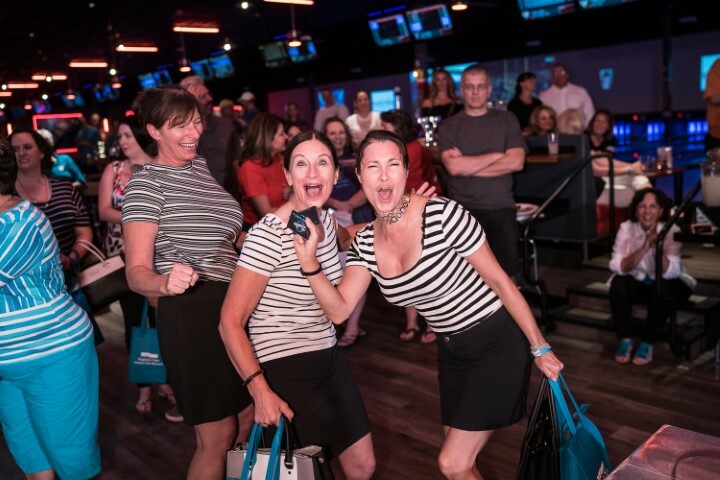 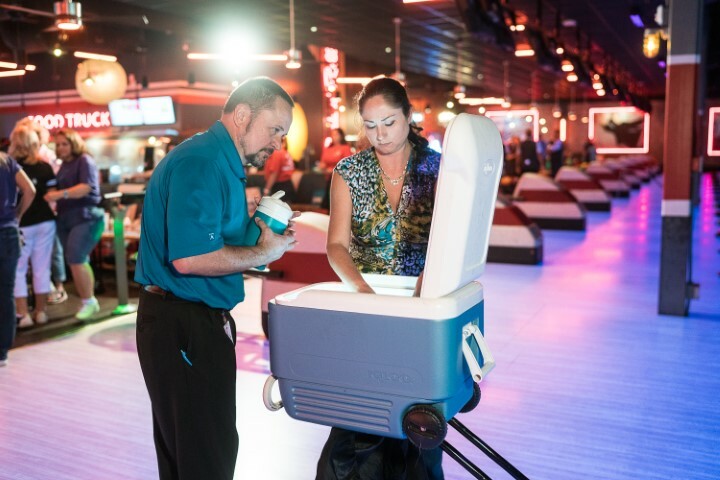 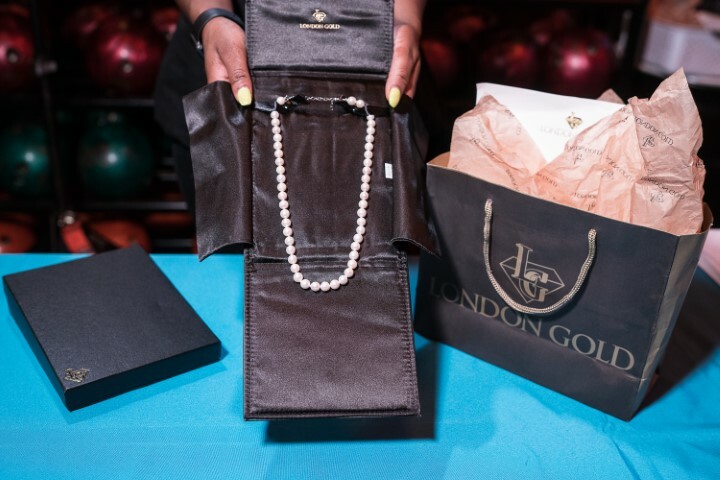 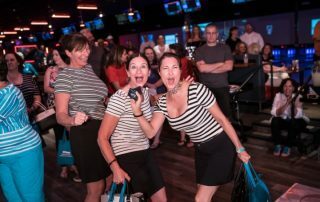 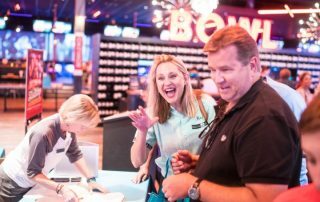 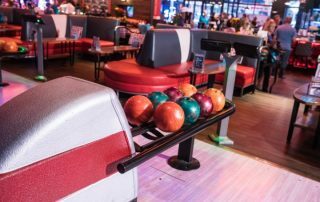 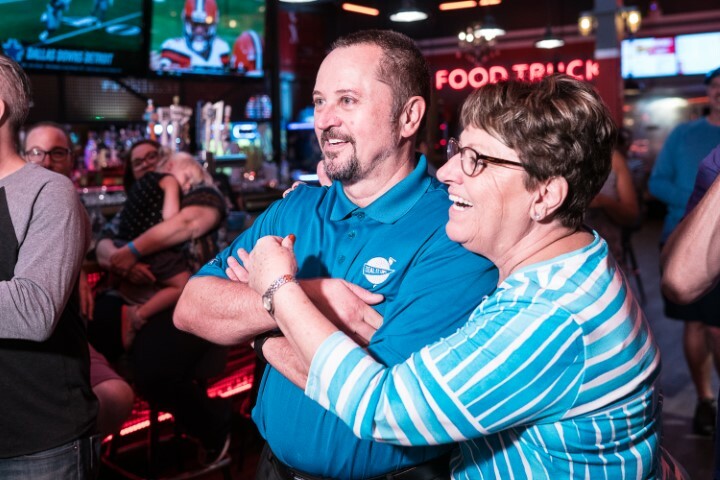 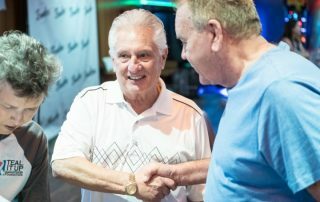 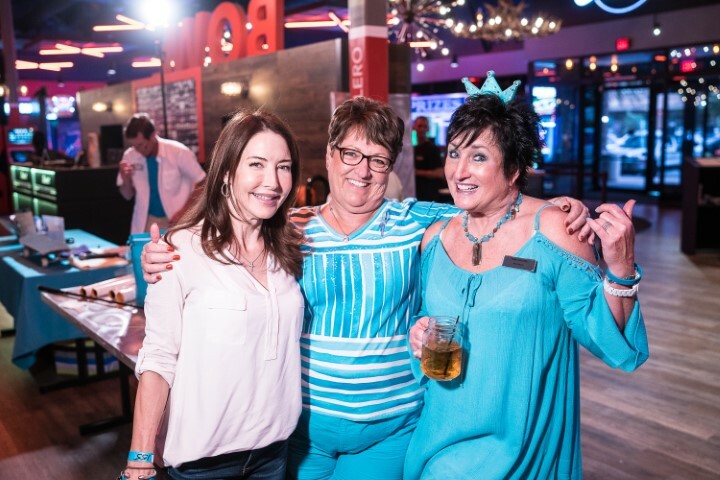 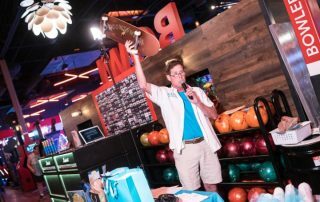 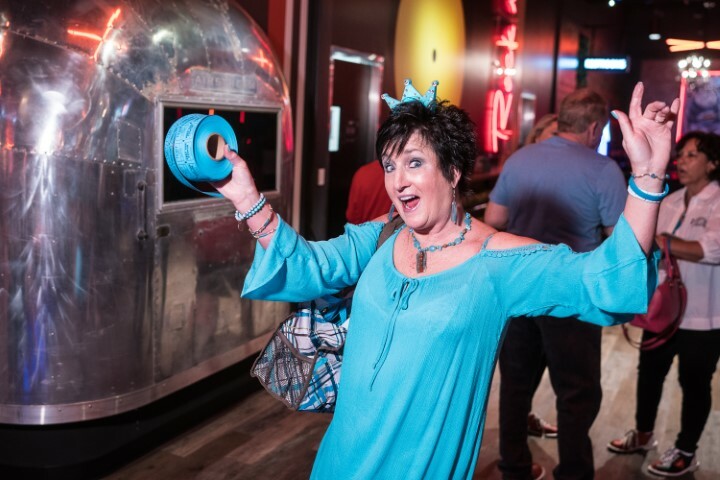 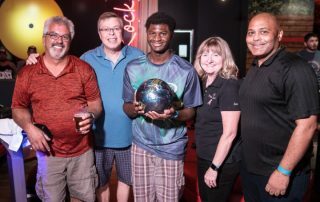 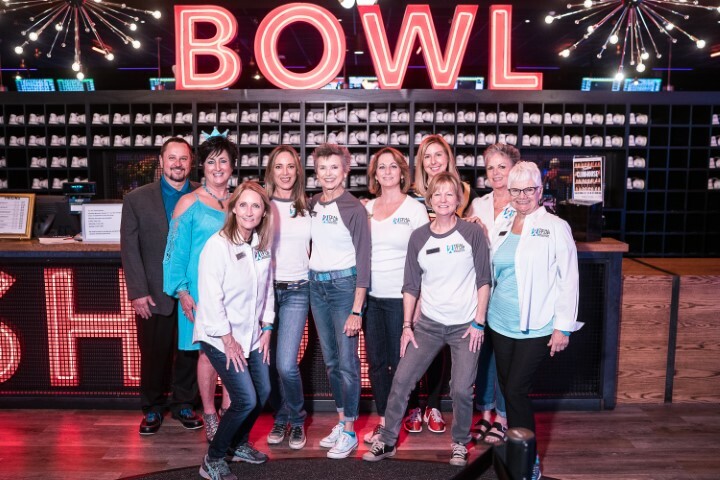 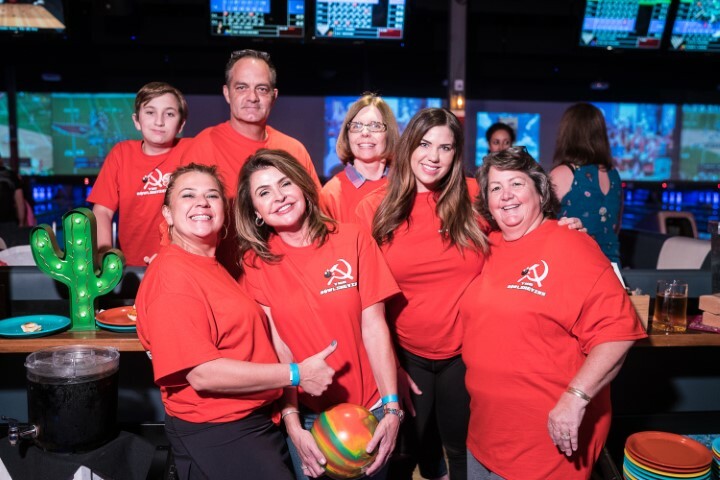 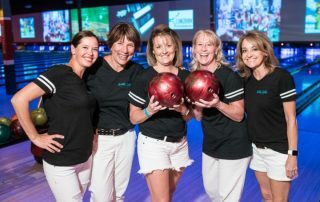 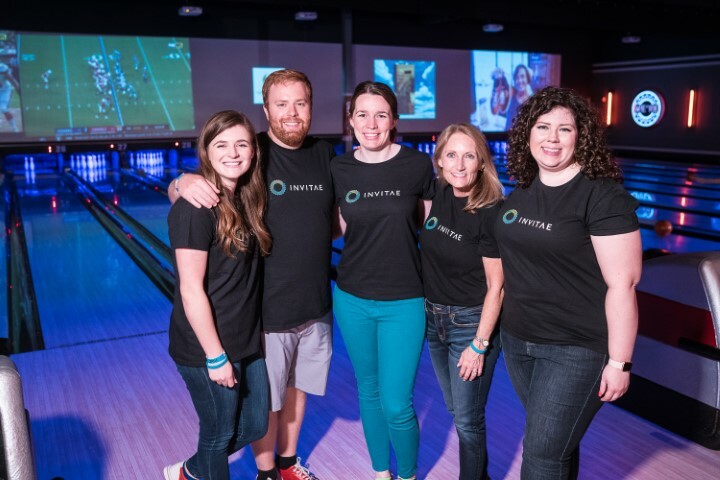 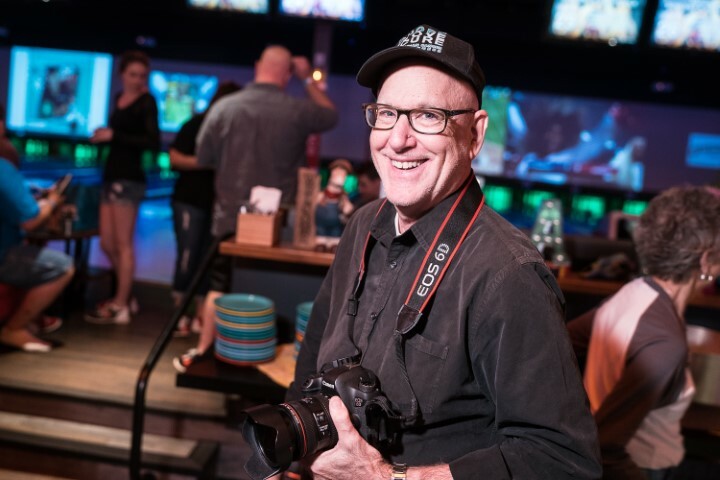 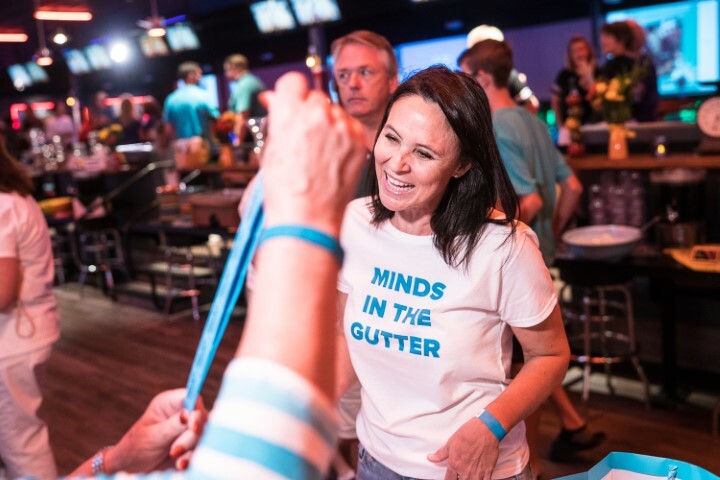 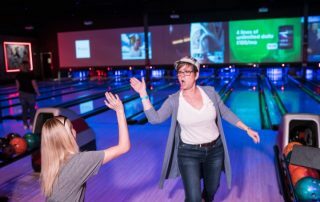 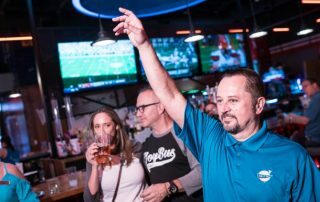 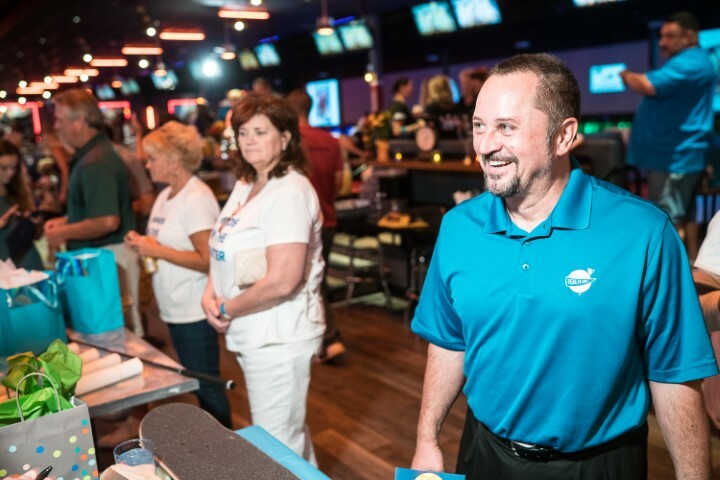 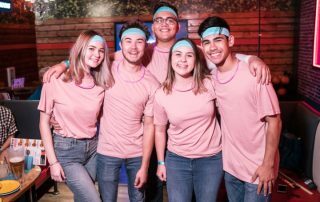 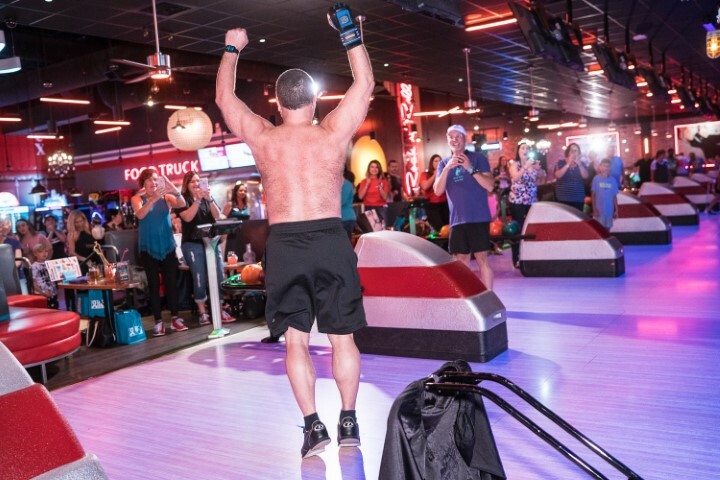 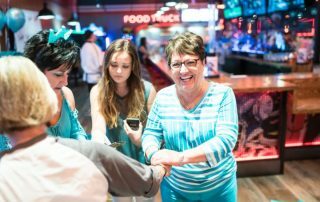 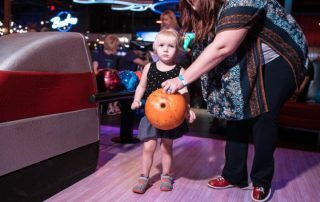 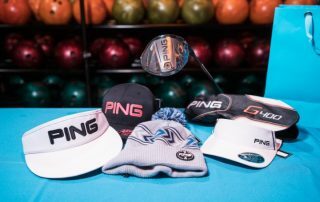 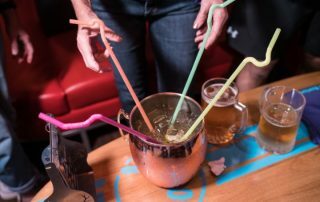 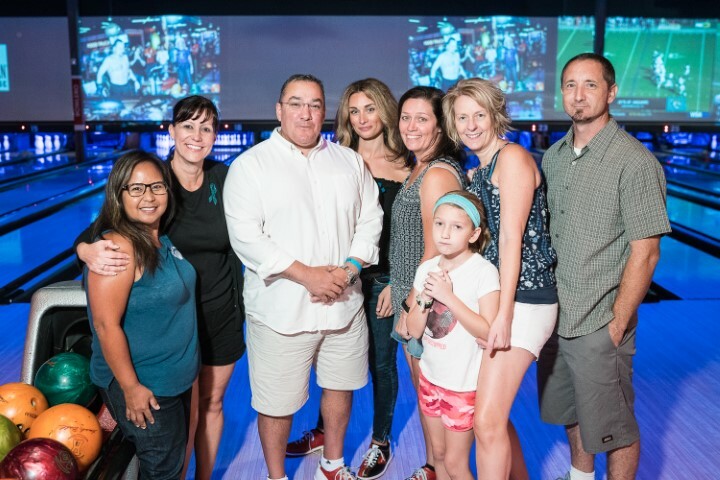 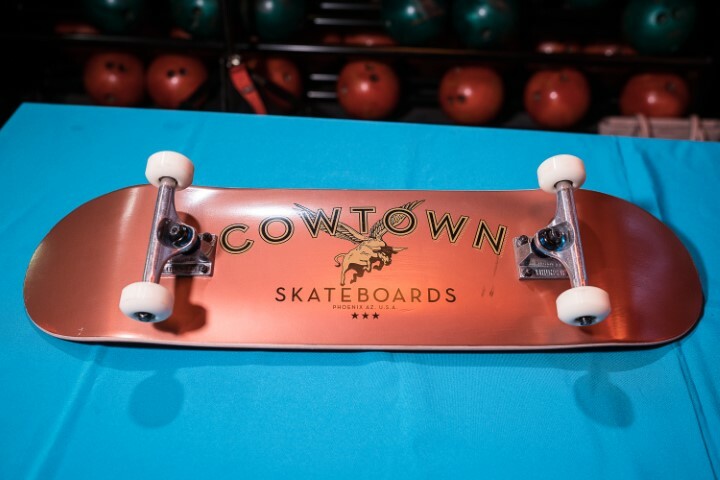 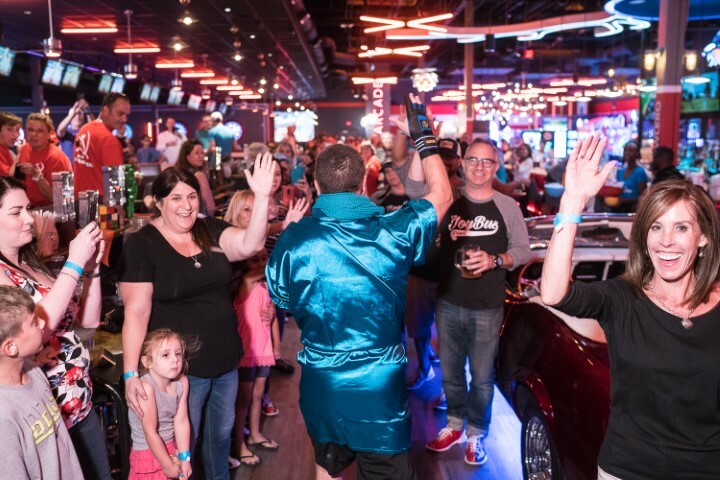 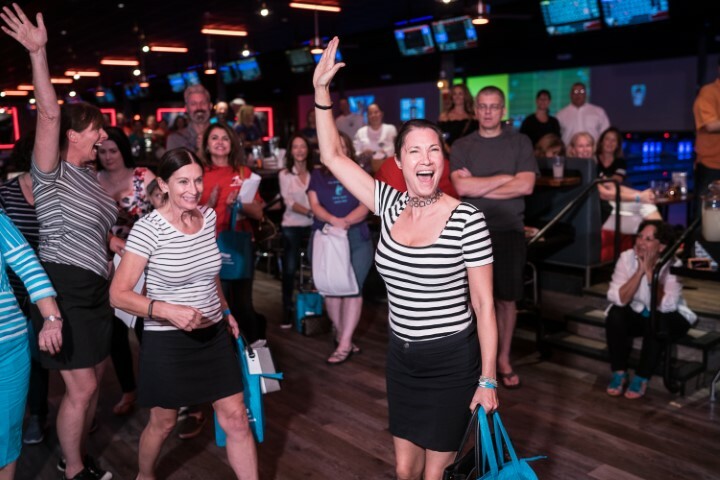 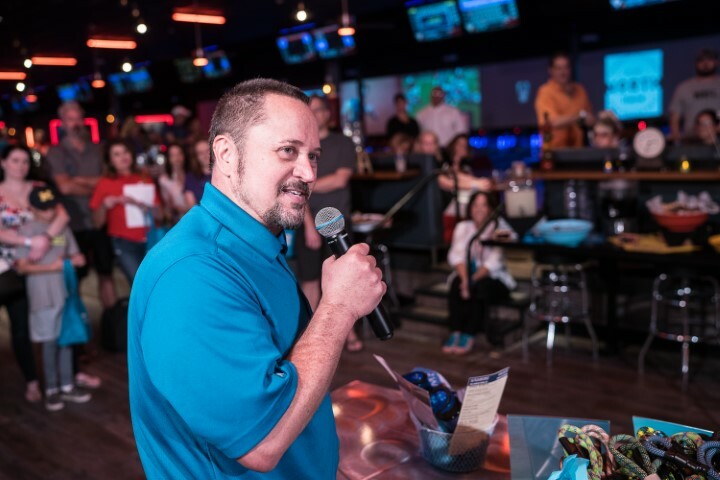 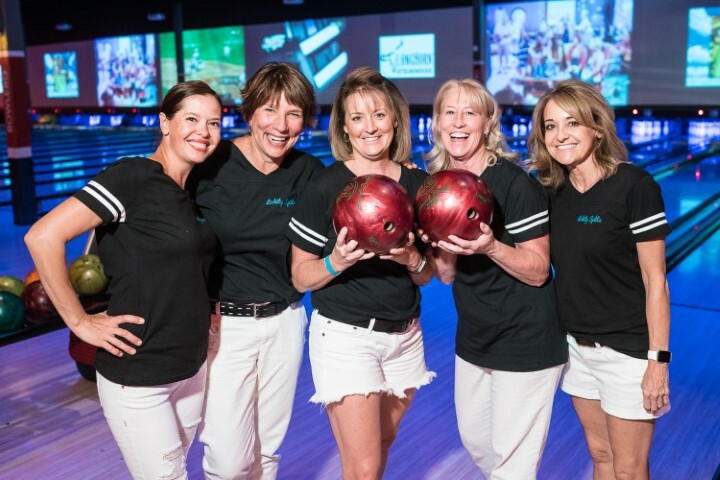 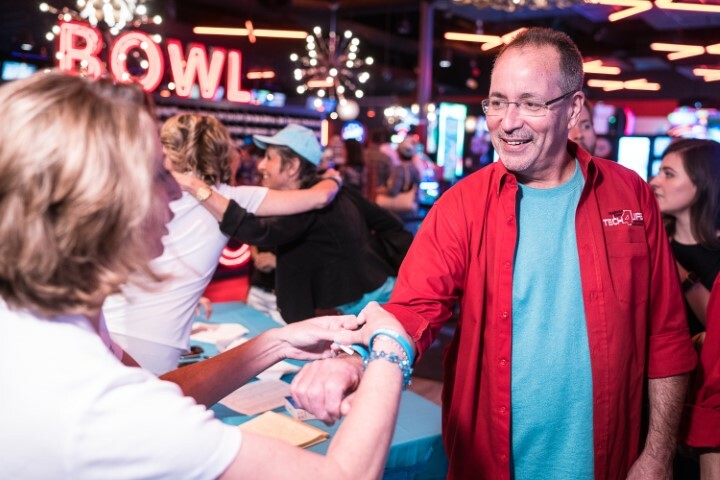 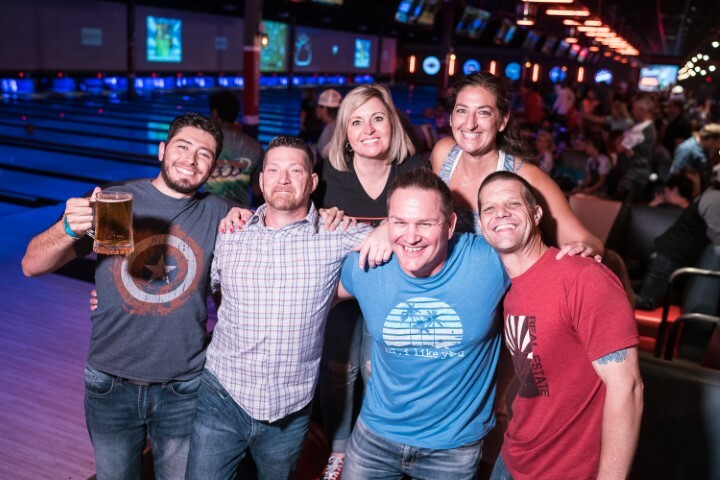 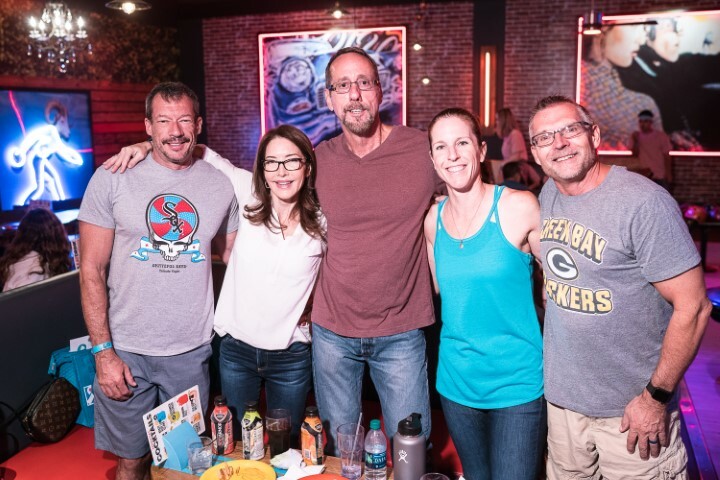 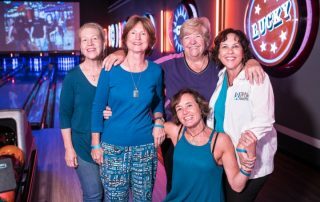 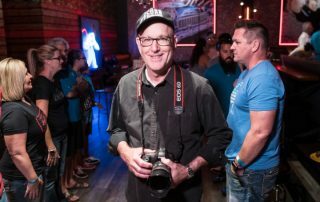 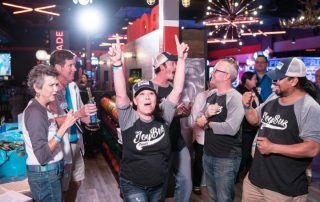 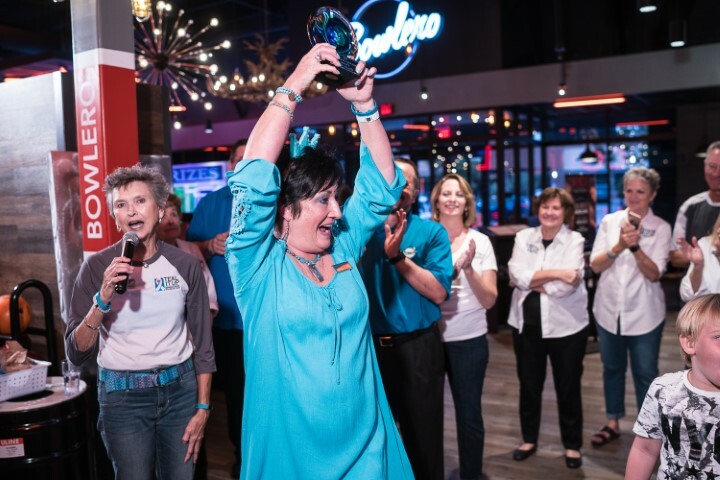 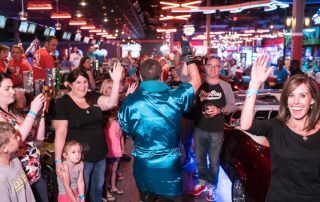 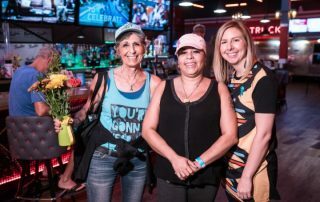 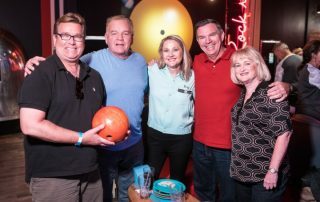 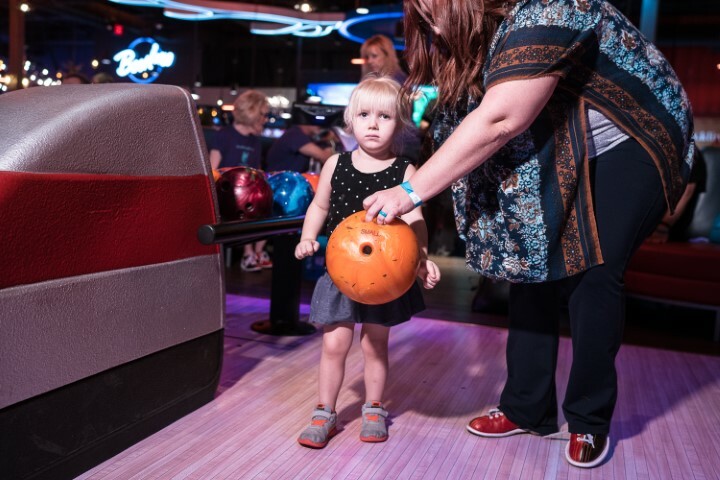 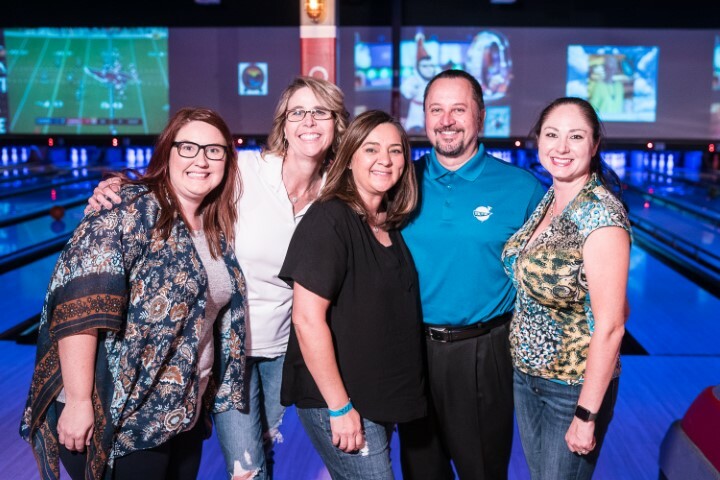 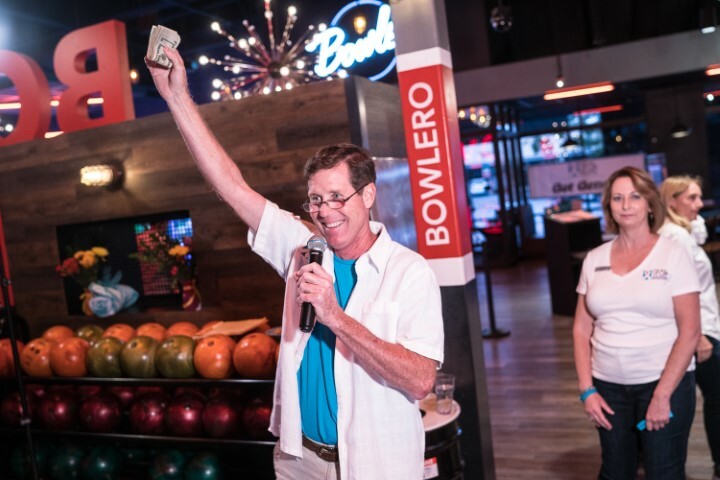 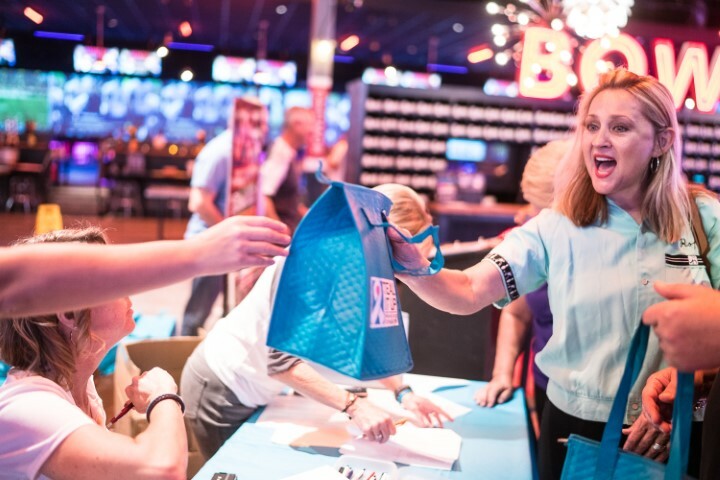 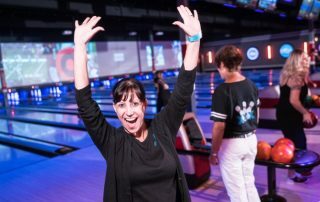 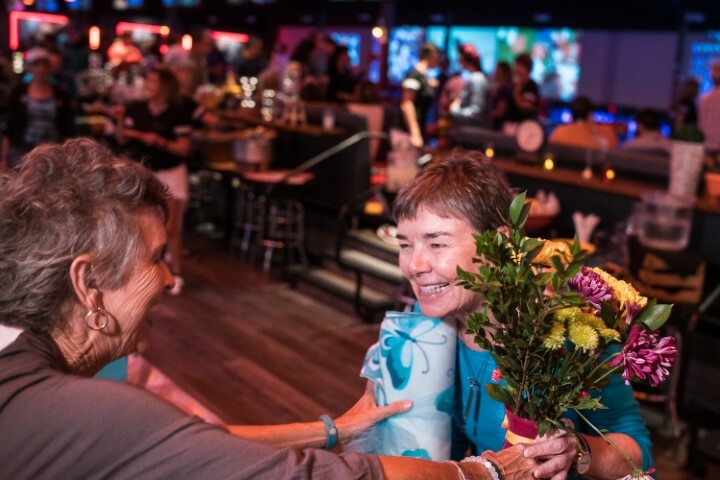 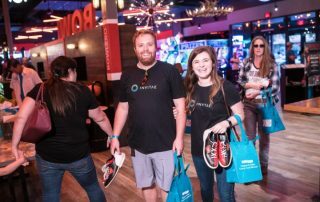 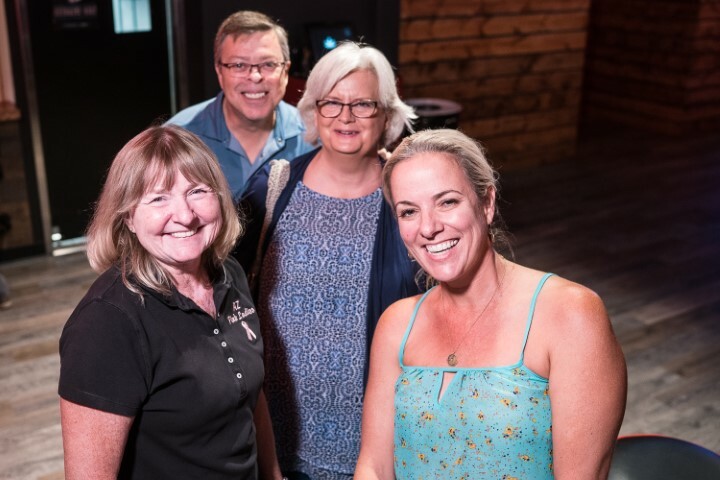 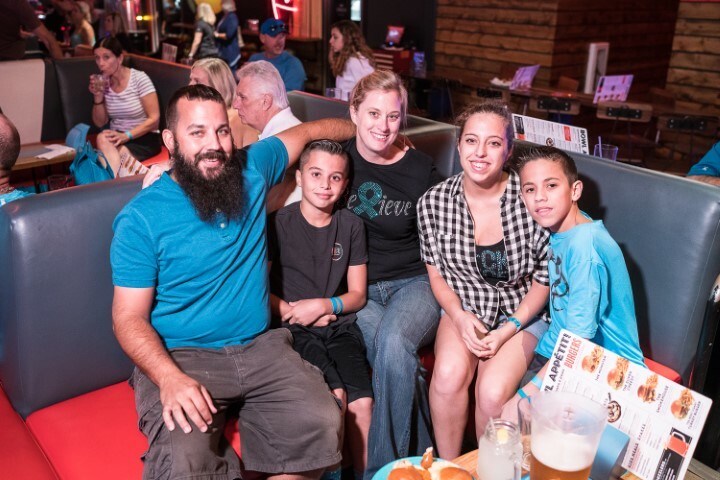 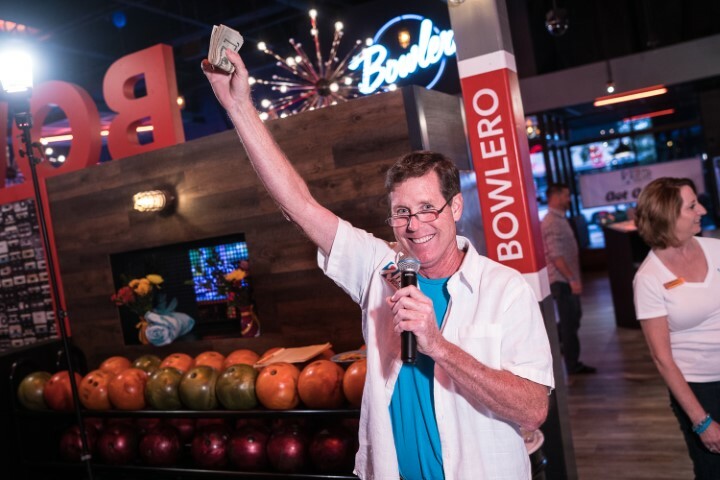 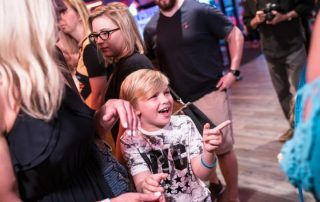 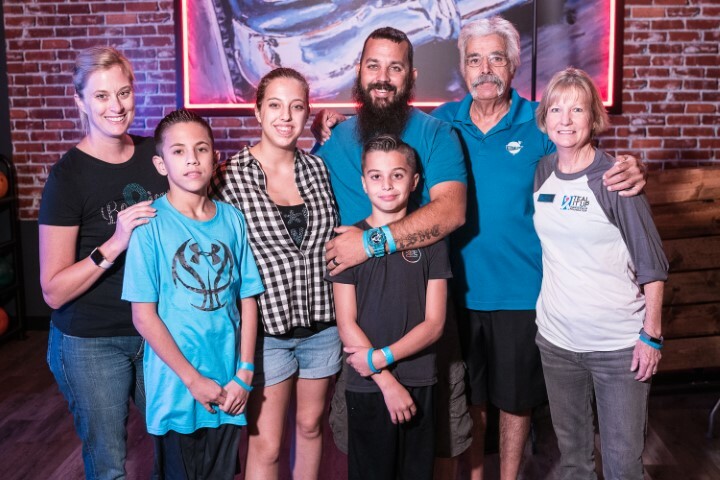 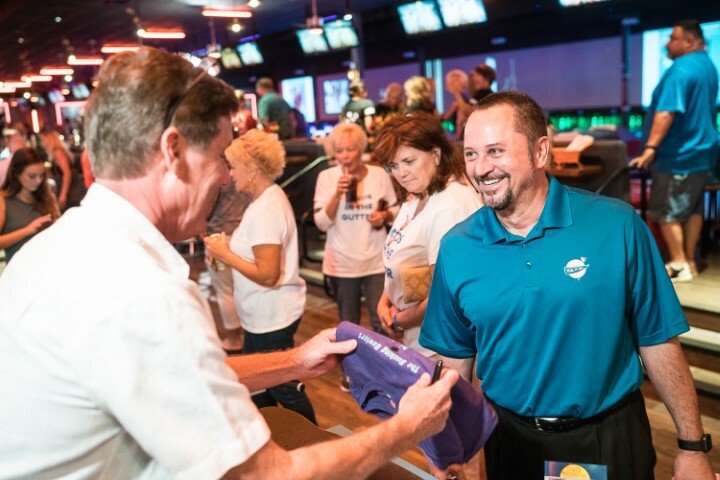 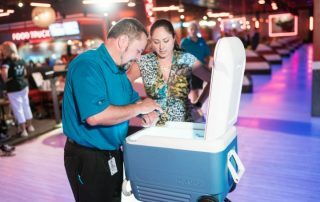 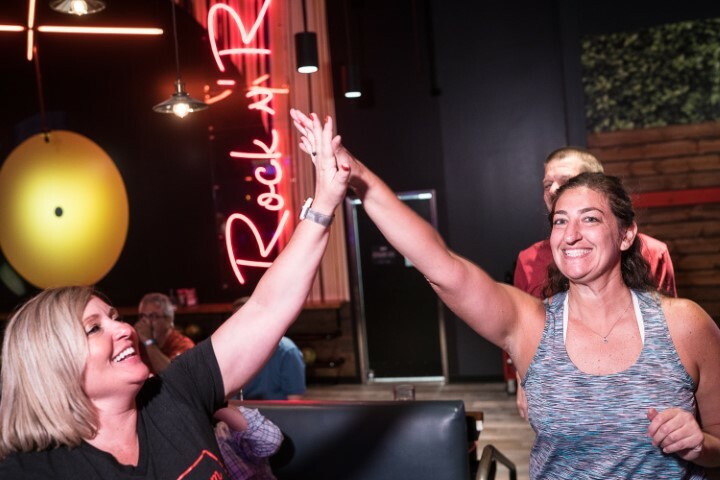 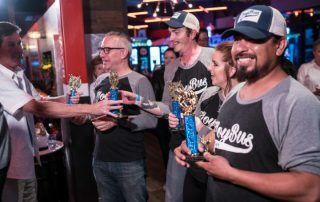 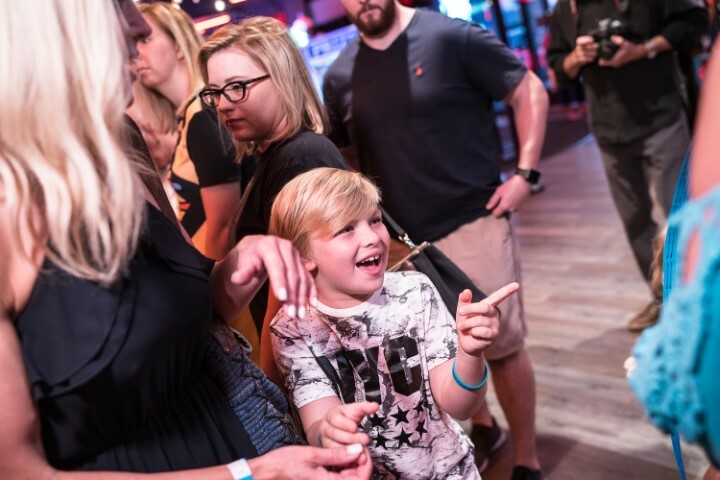 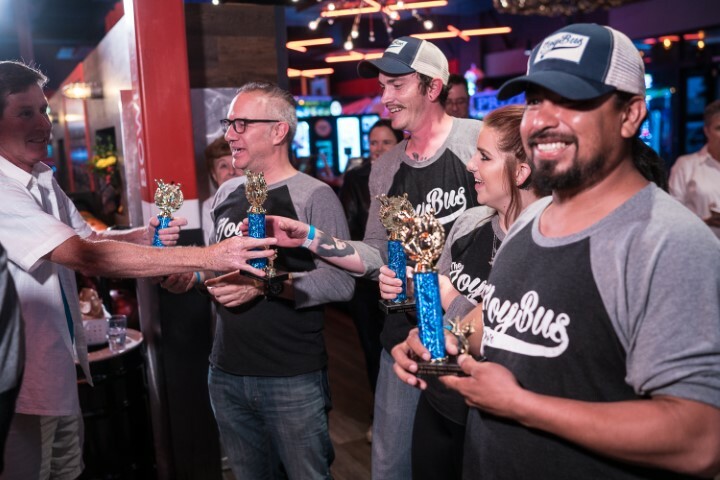 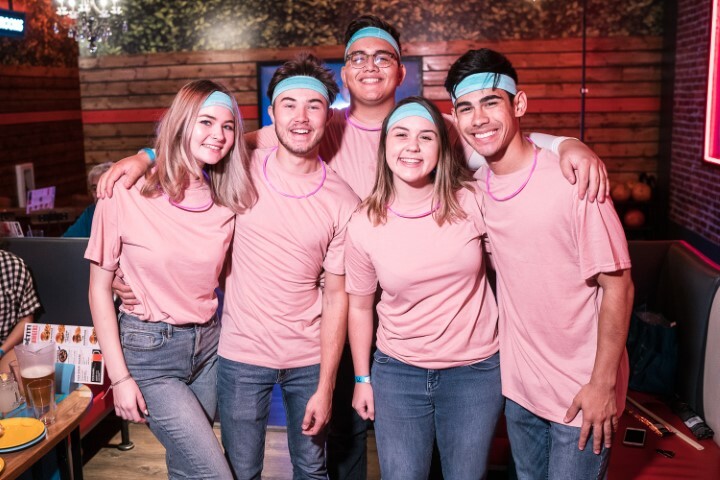 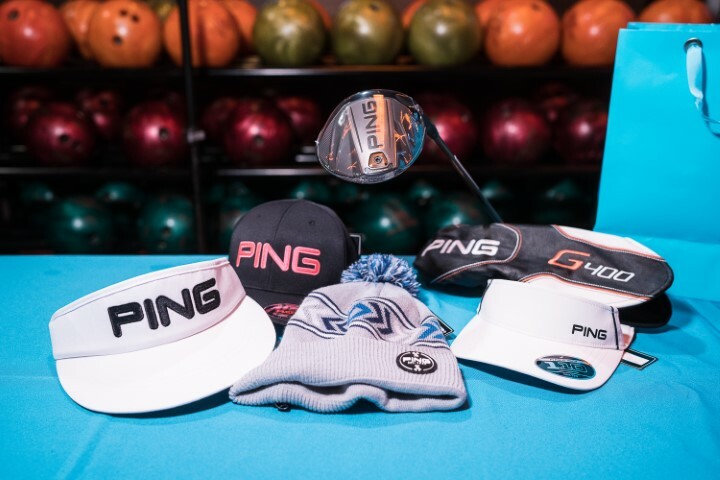 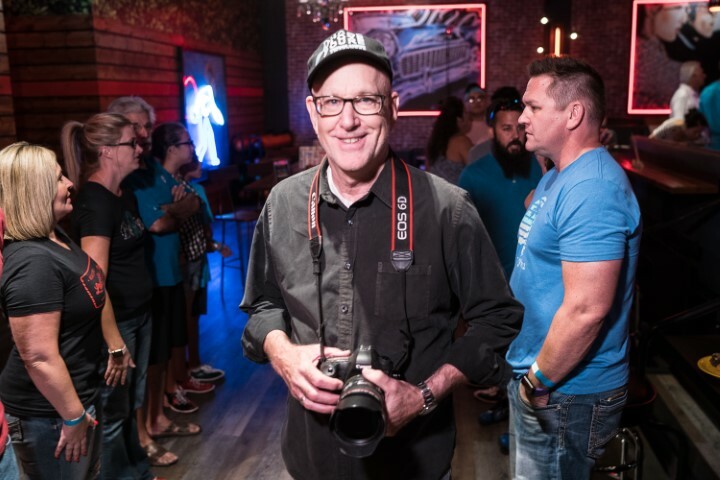 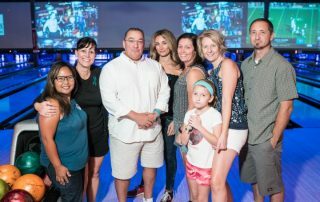 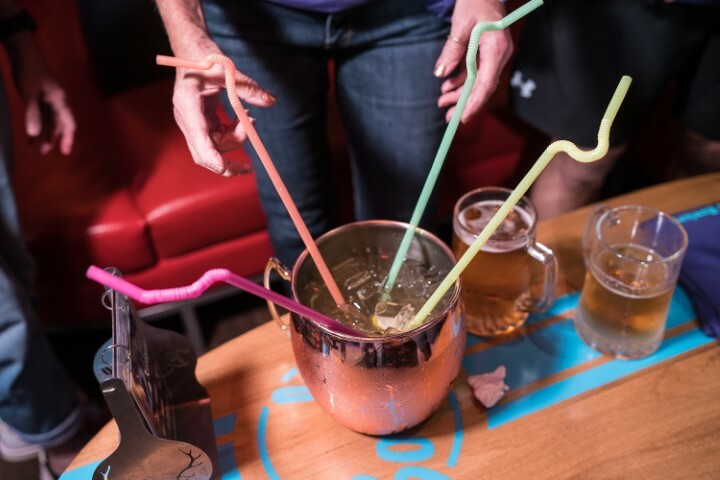 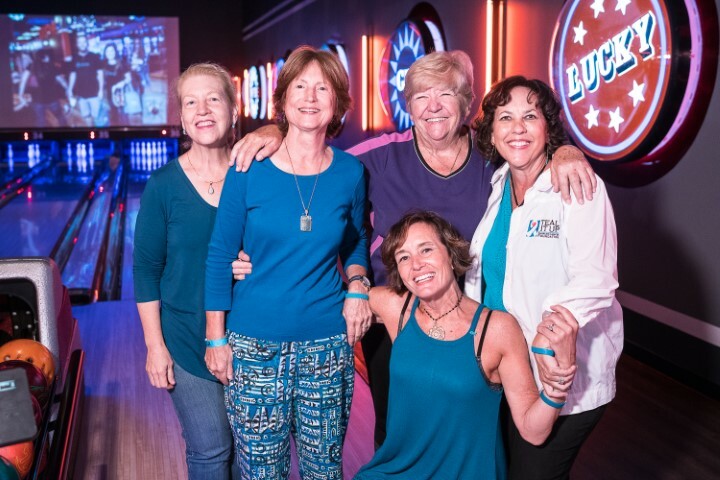 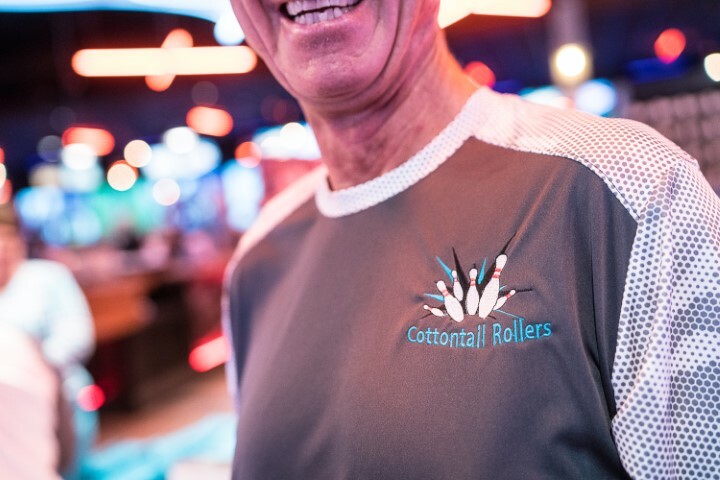 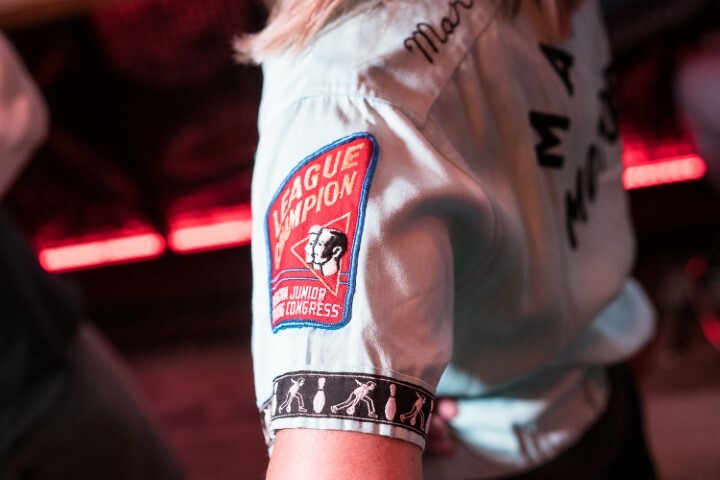 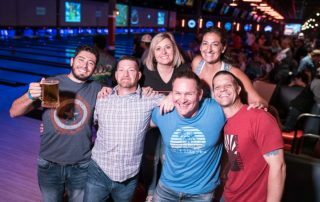 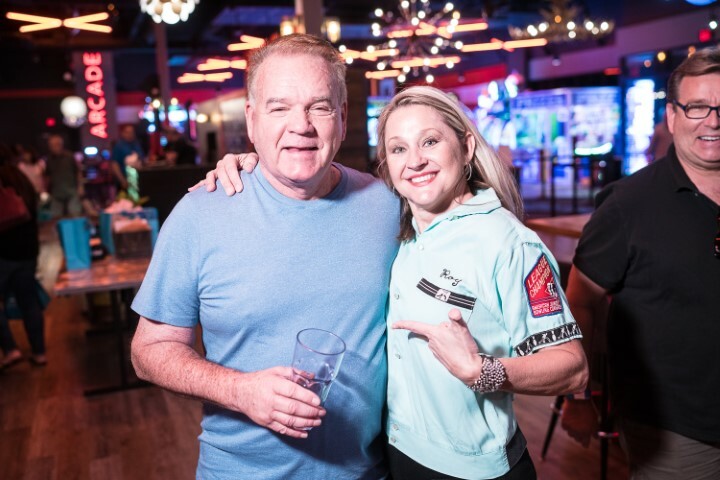 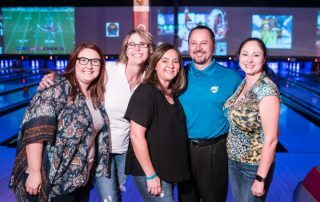 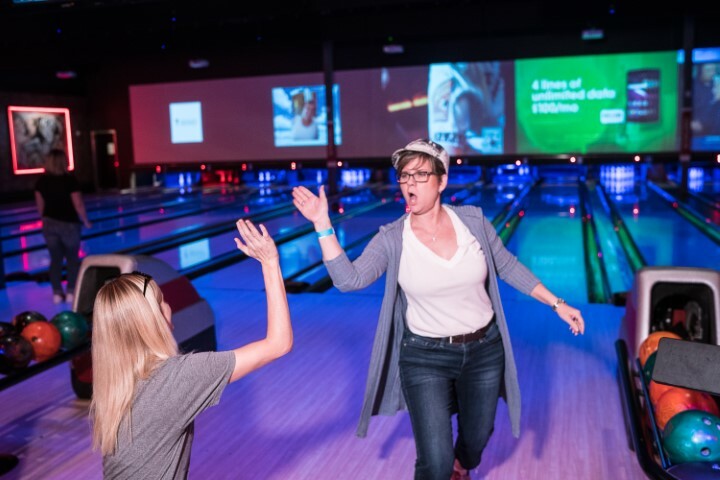 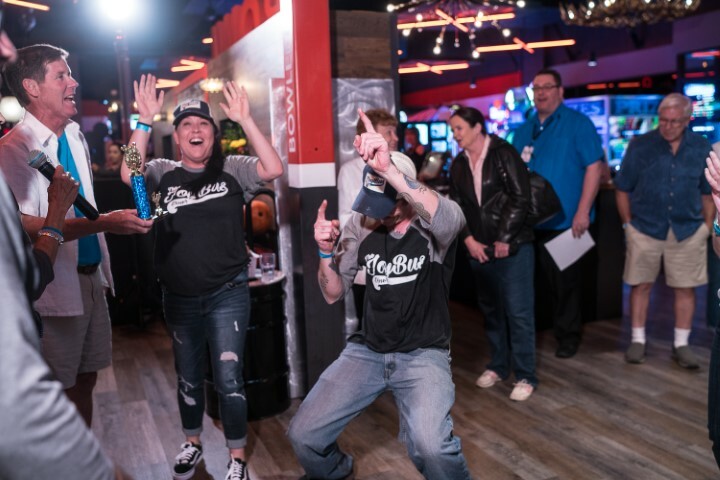 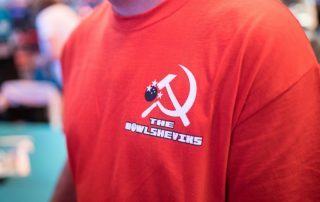 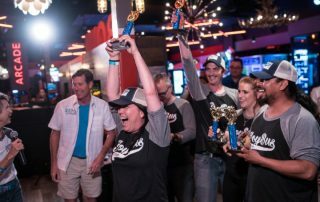 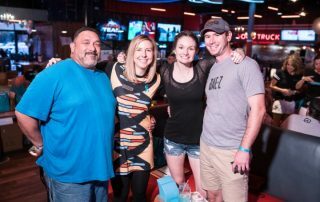 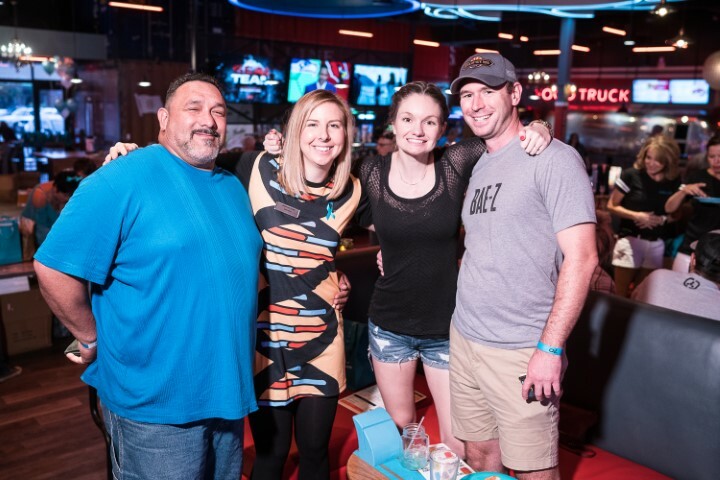 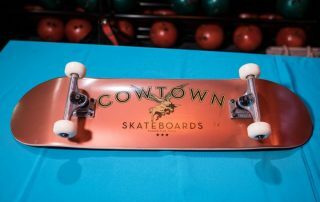 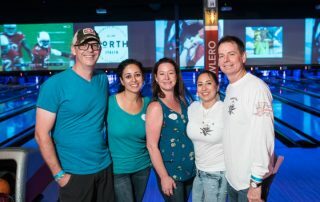 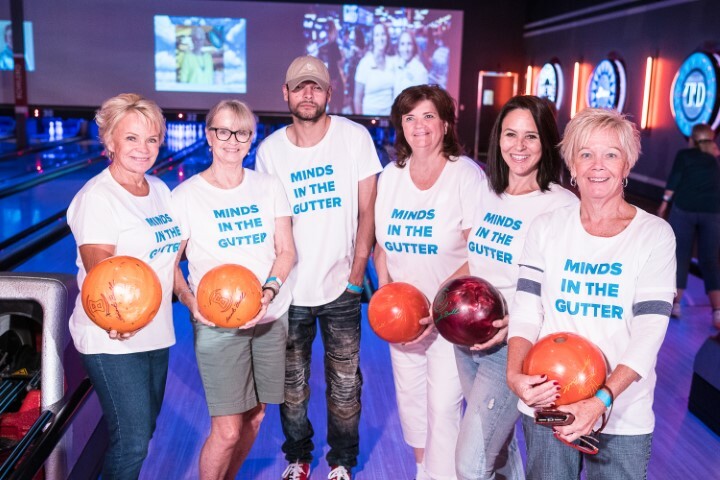 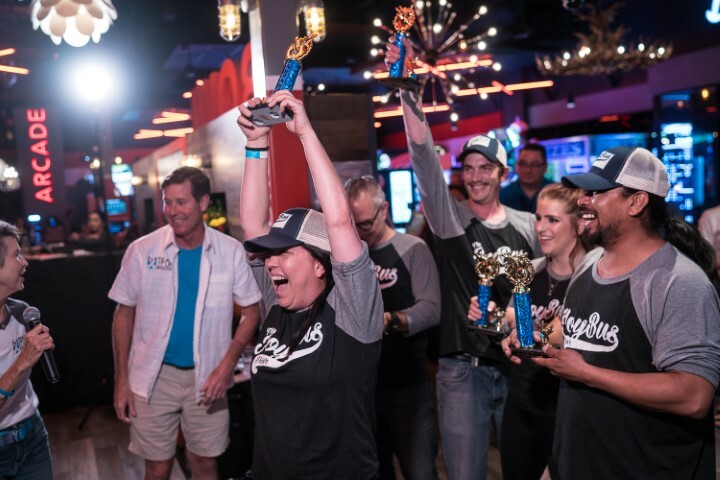 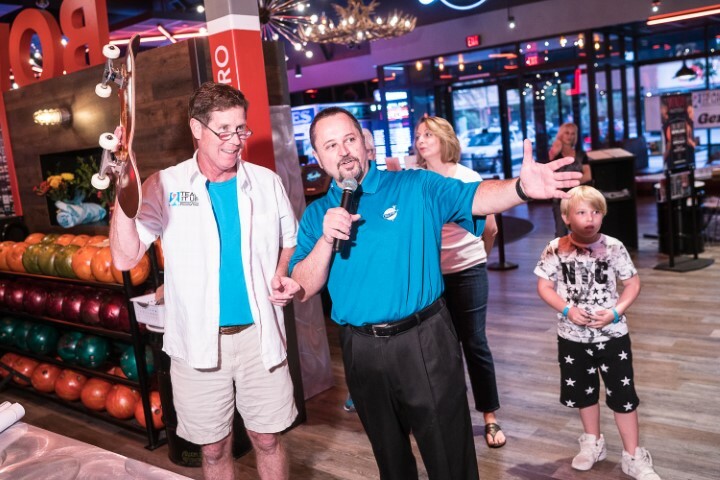 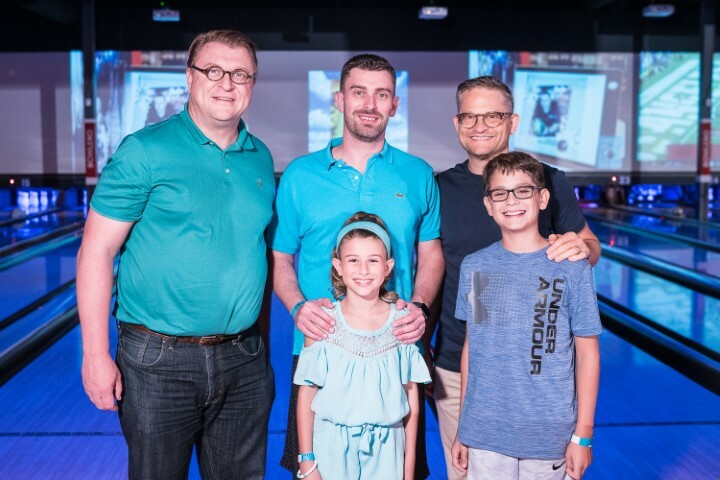 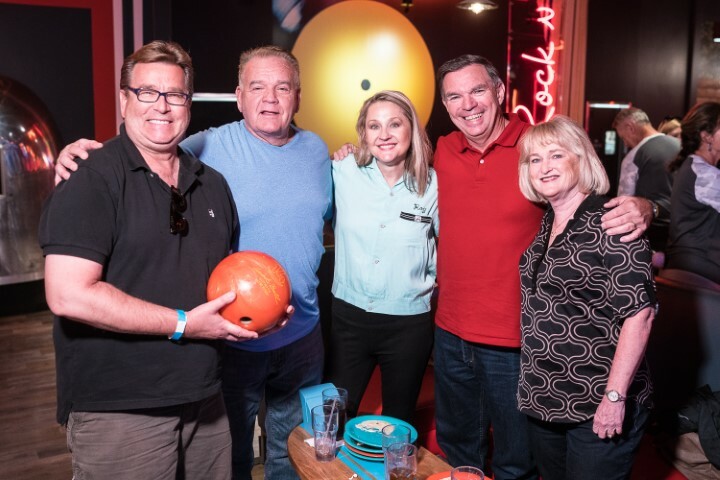 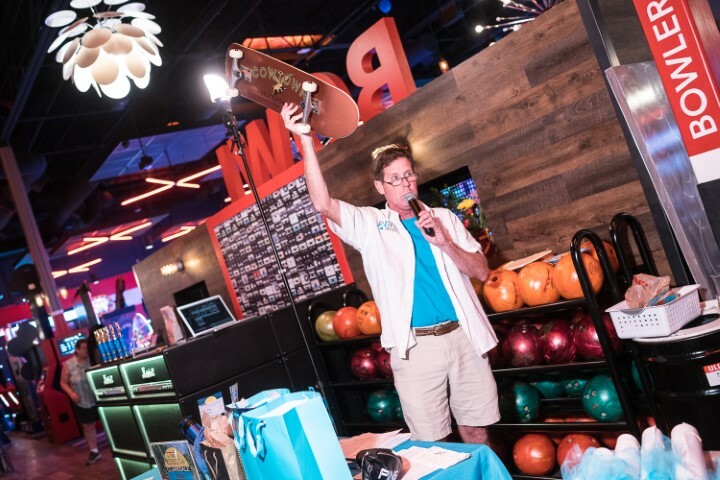 Each time someone gets a strike, this sponsor pledges $10 to the teal movement…. (teal is the color for ovarian cancer). 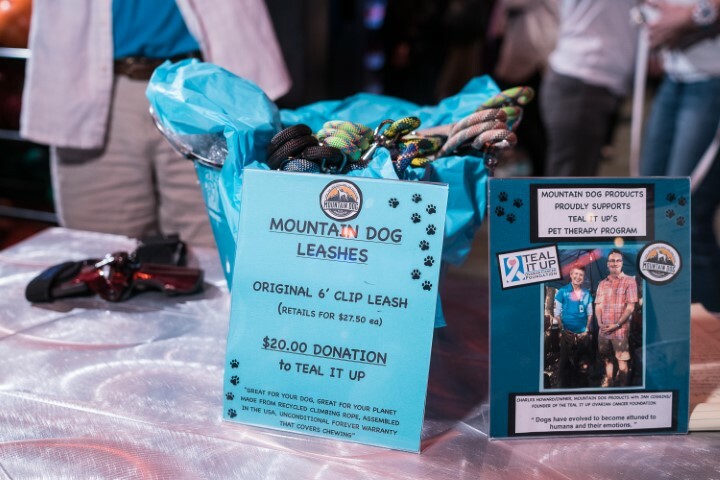 The sponsor may choose to cap their pledge at any amount but we hope for a minimum of $200. 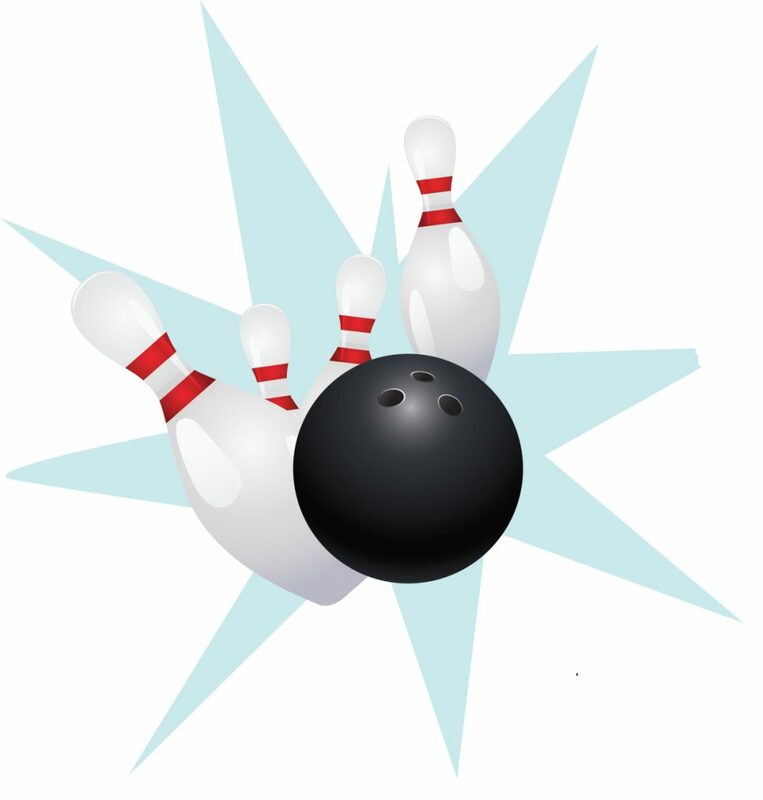 Every half hour it will be announced how many strikes have been made and the sponsors who pledged. 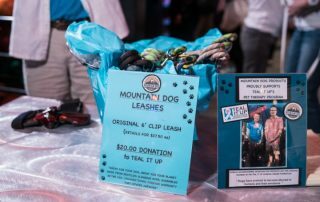 Donations are welcome in any amount. Thank You for your support! 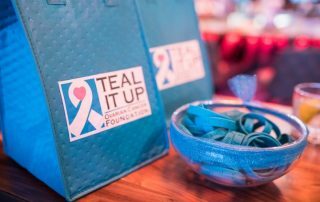 You can also support the Teal It Up Foundation by donating an item for our Silent Auction. 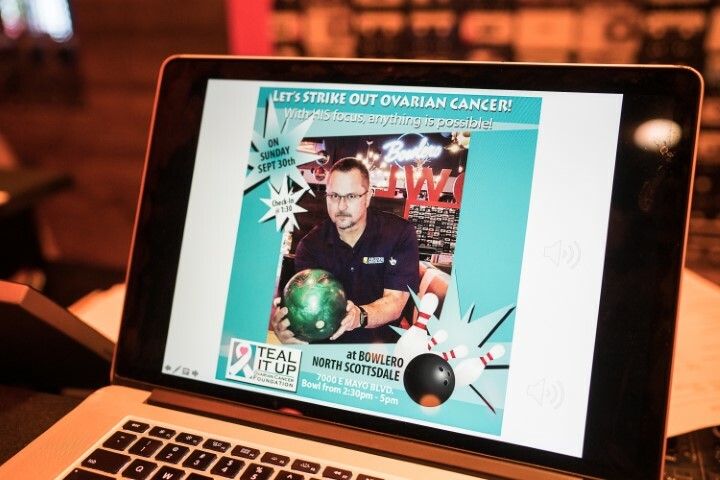 100% of the proceeds goes to support our fight against Ovarian Cancer! 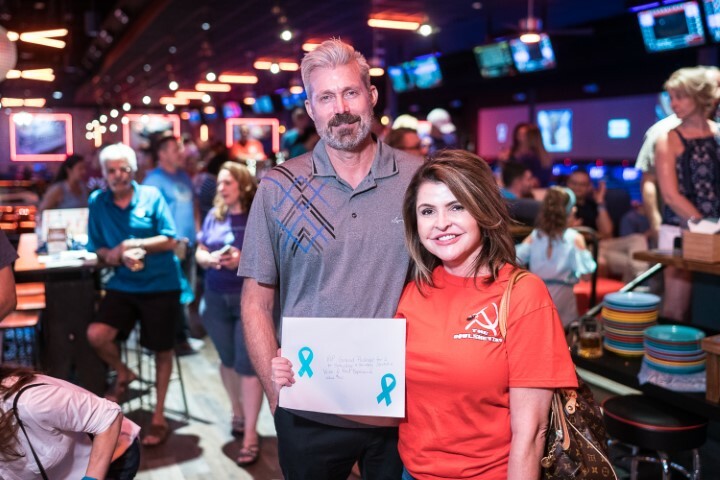 We appreciate your support and remind you that Teal It Up! Foundation is a tax-exempt charity under IRS Code § 501(c)(3). 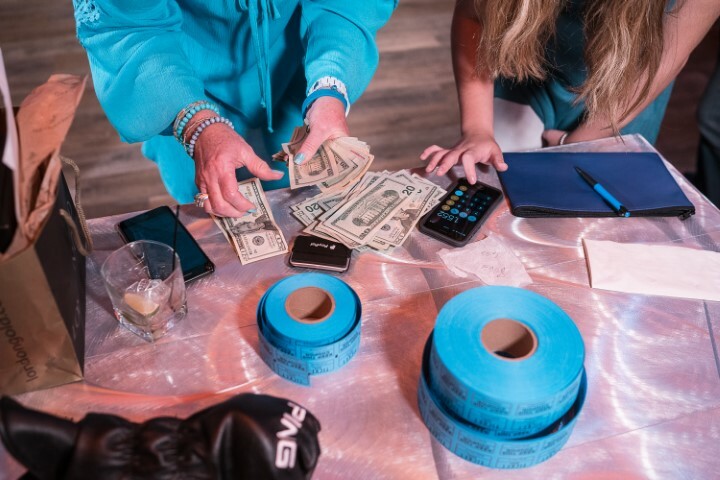 Speak with your tax professional to determine whether your donation is tax deductible. 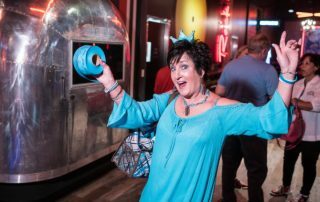 The Tax ID number for The Teal It Up! 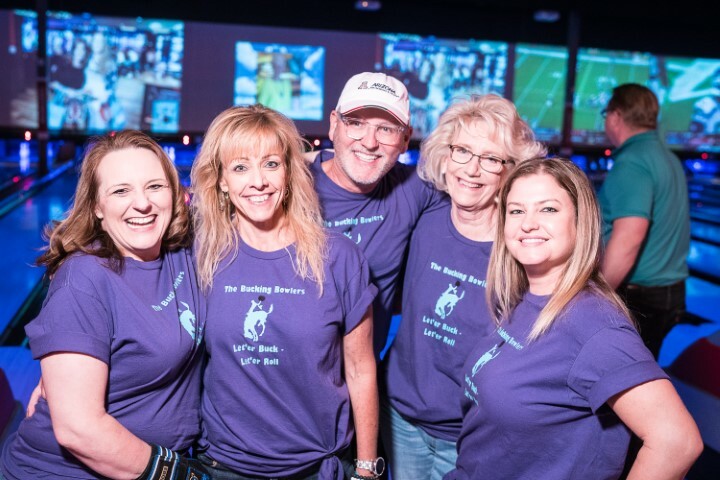 Foundation is 46-2272671.